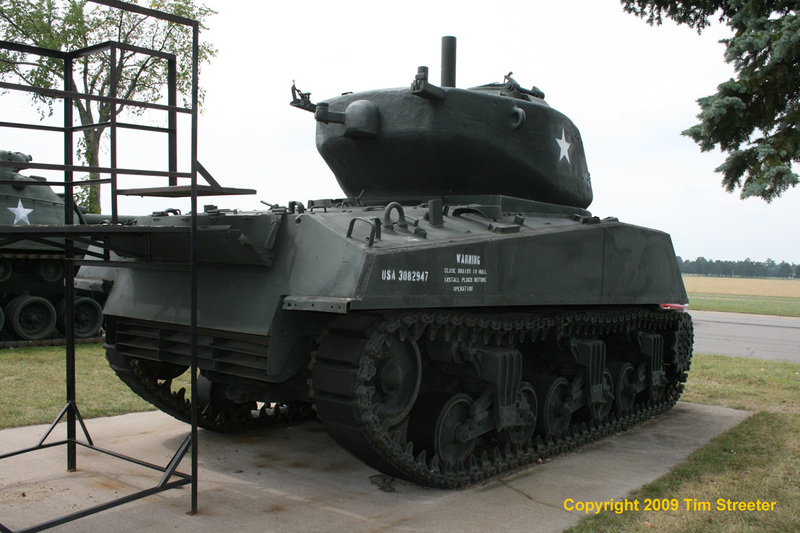 The M4A3E2 Sherman assault tank, nicknamed the "Jumbo," came out of the U.S. Army's need for a heavily armored gun to aid infantry in the invasion of northern Europe. 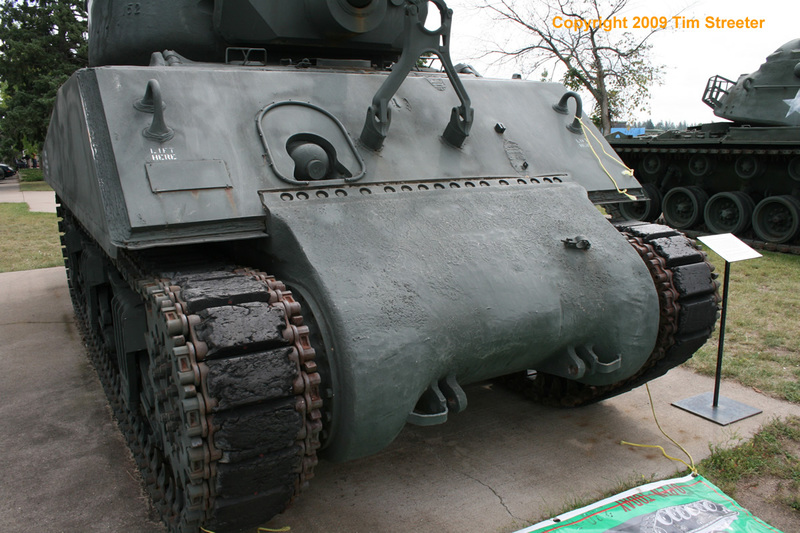 In March 1944 authorization was given to modify 254 M4A3 Shermans with additional armor. 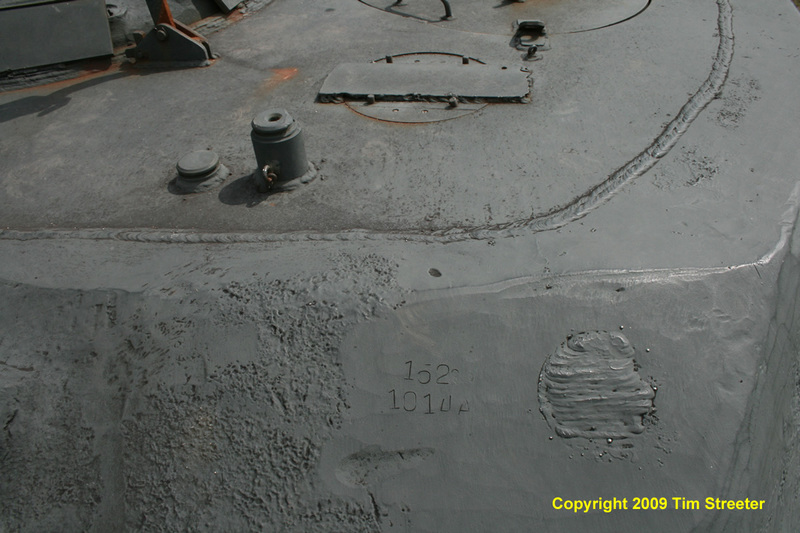 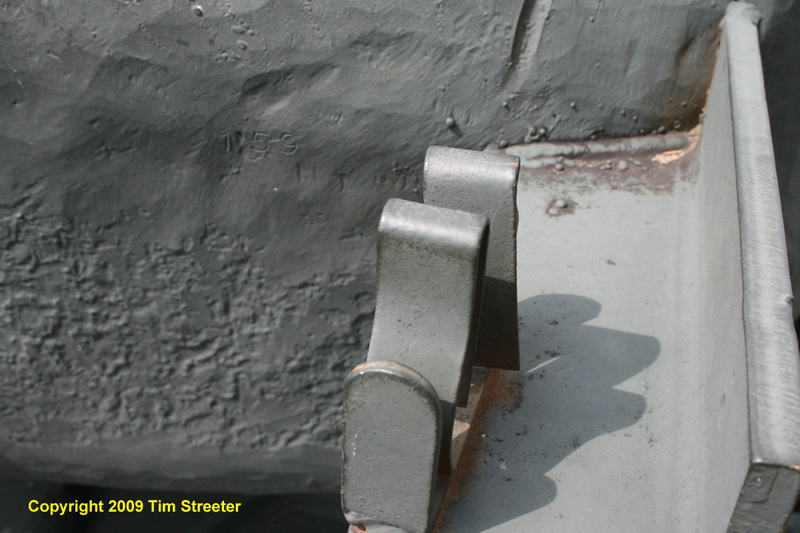 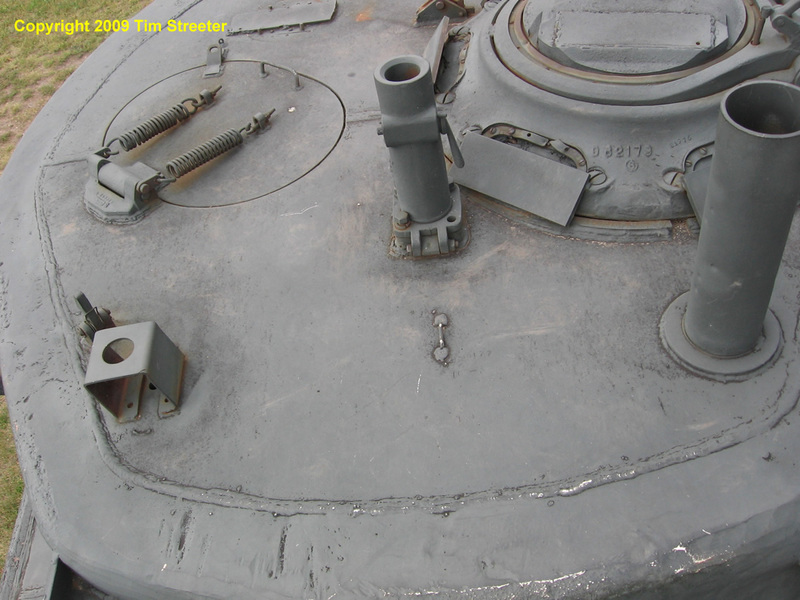 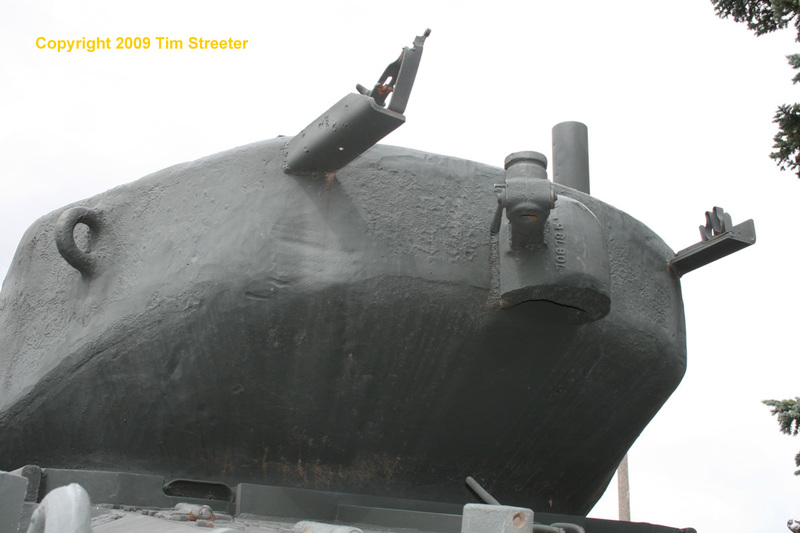 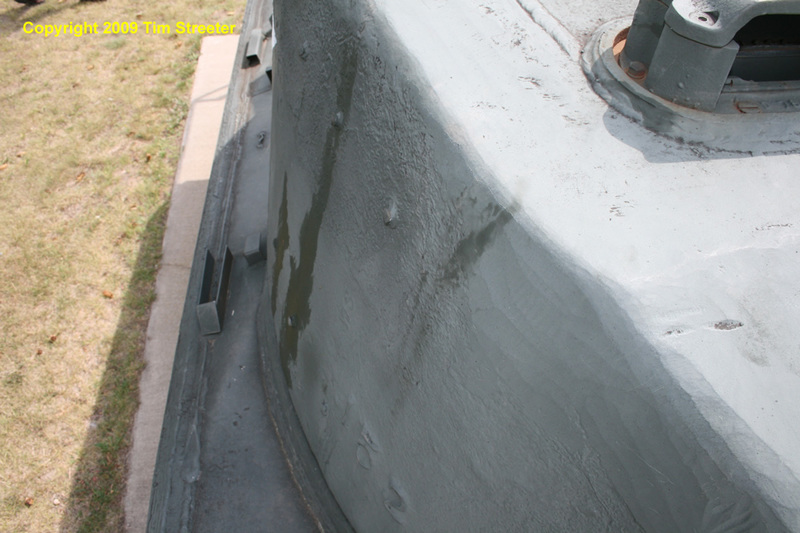 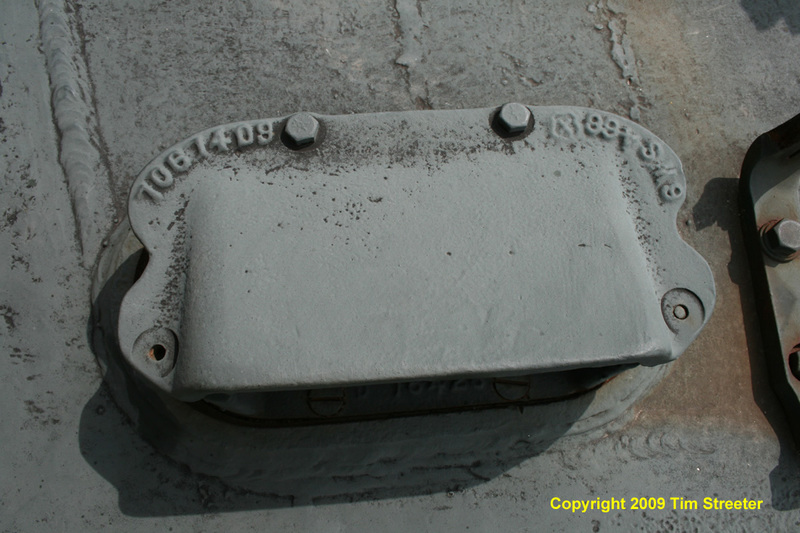 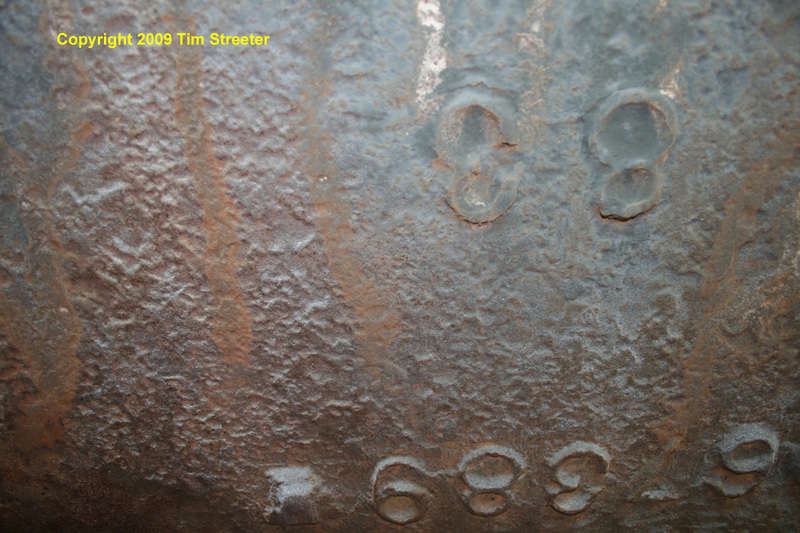 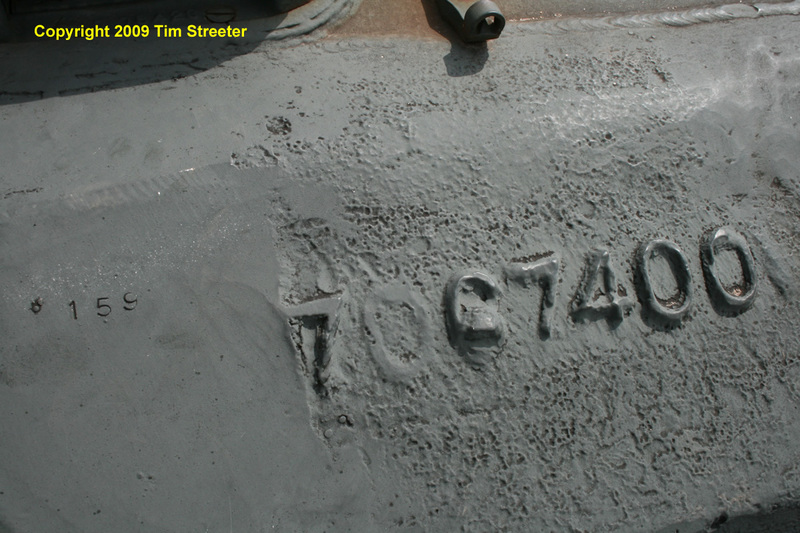 An overlay of 1 1/2 inches of rolled steel plate was welded to the sides of the hull and the front glacis. 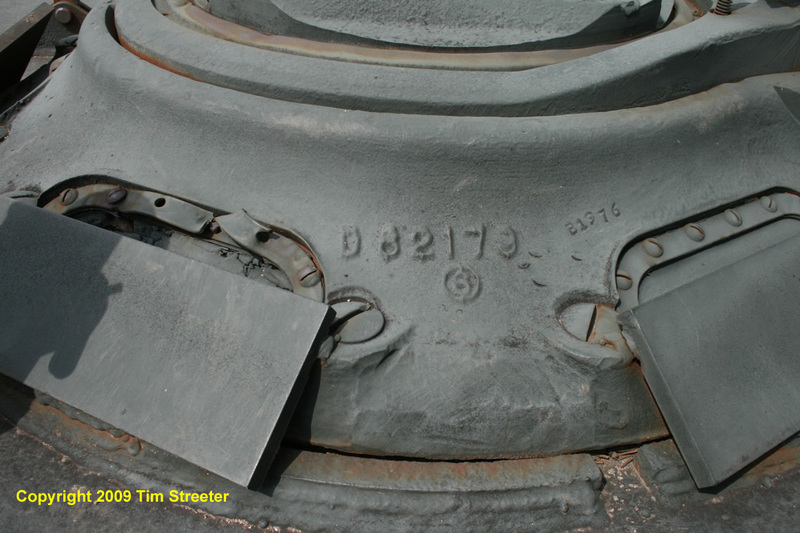 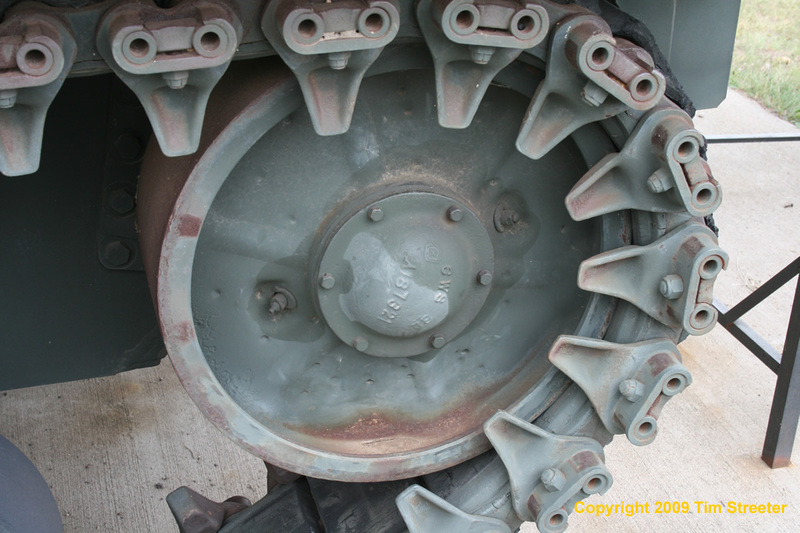 A new differential cover increased protection to 5 1/2 inches. 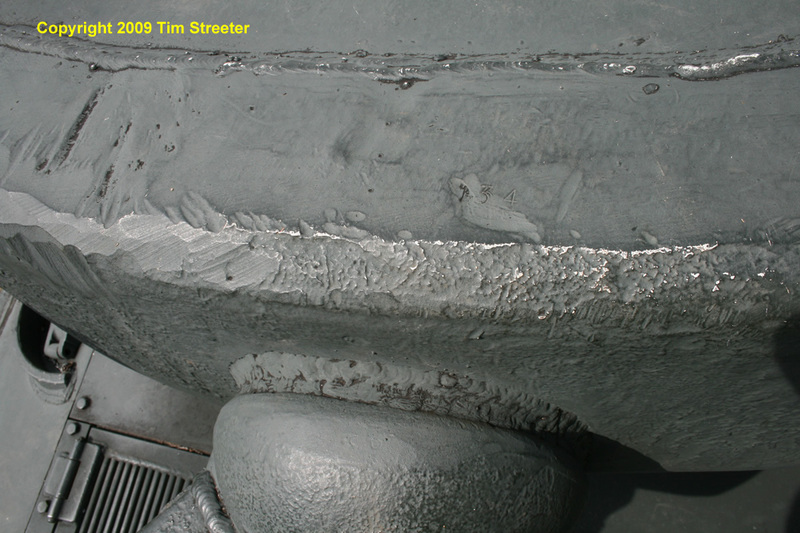 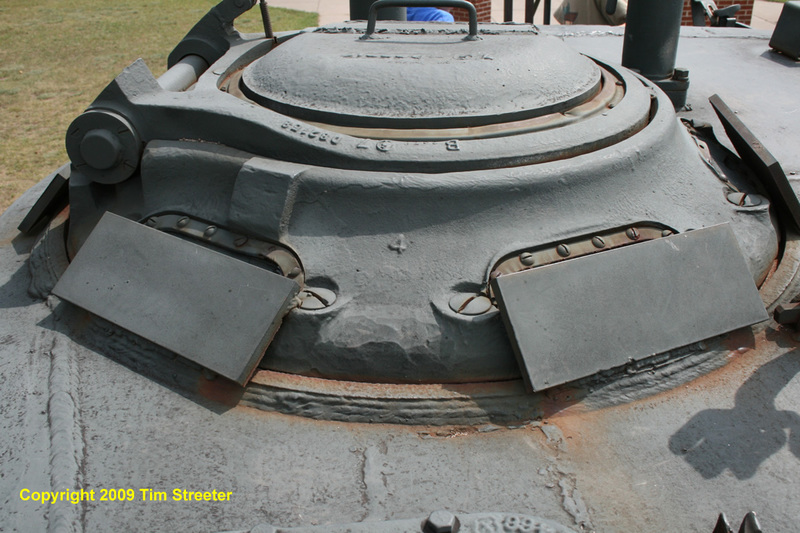 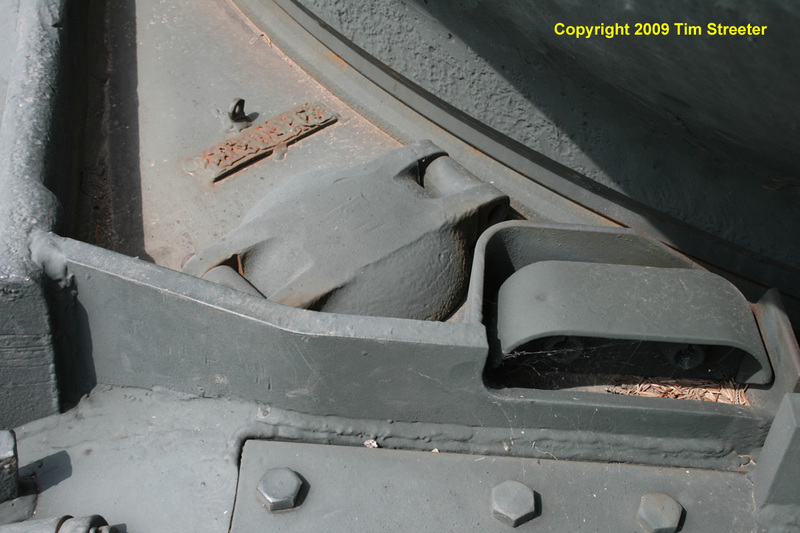 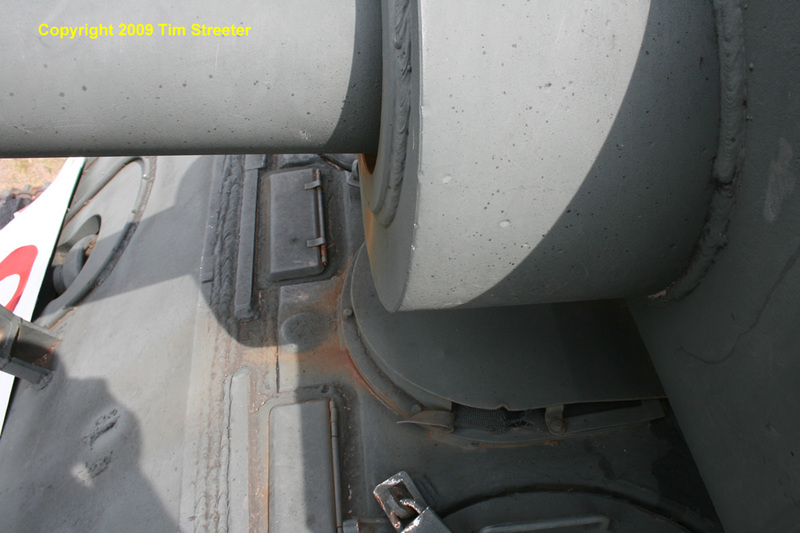 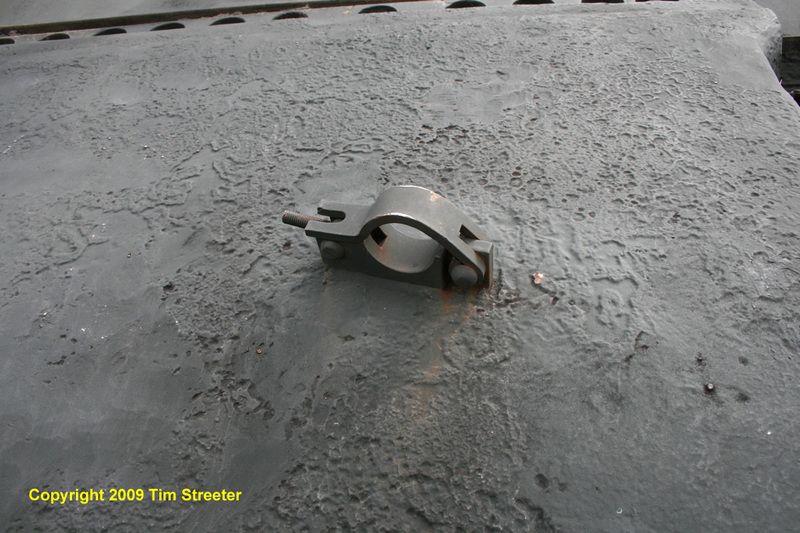 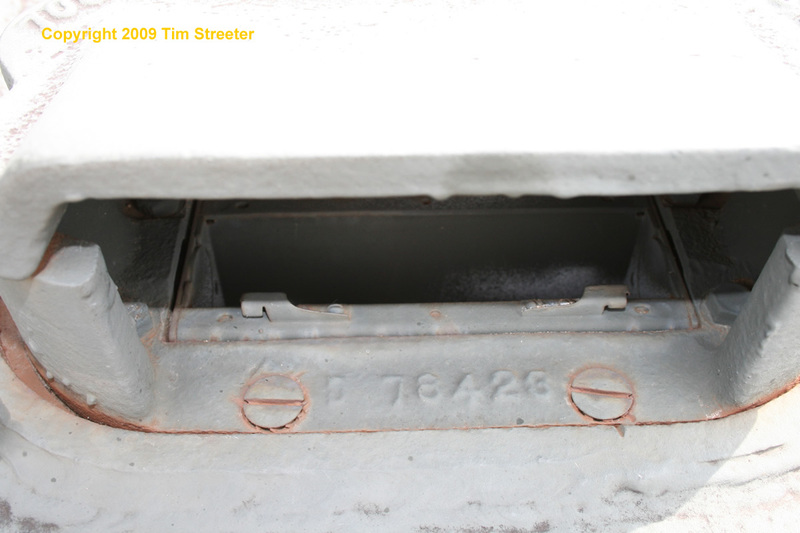 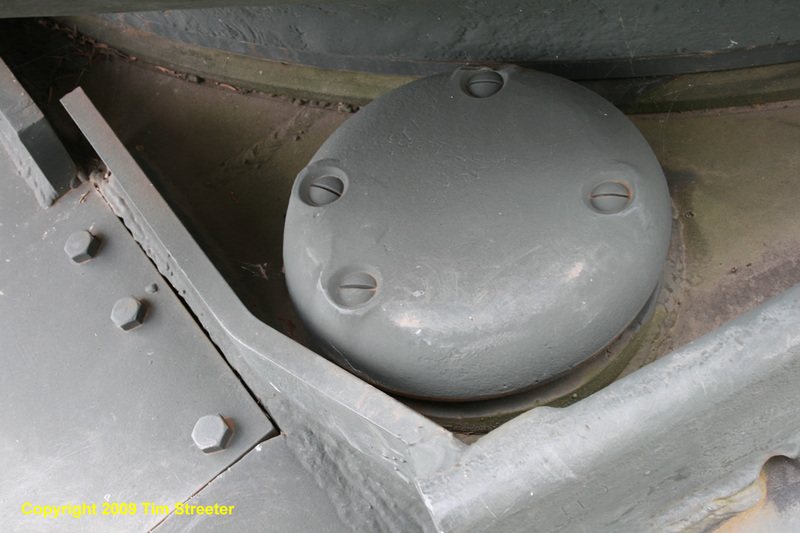 The turret was upgraded with a new casting providing 6 inch walls and the pistol port was eliminated. 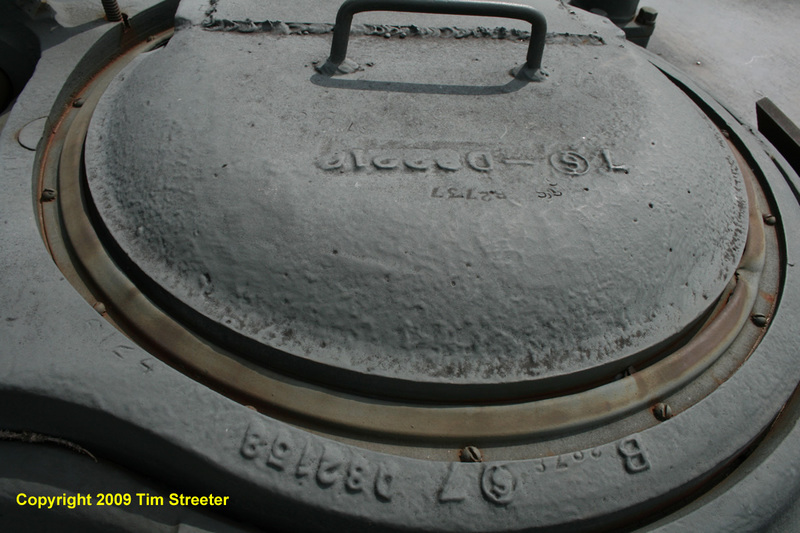 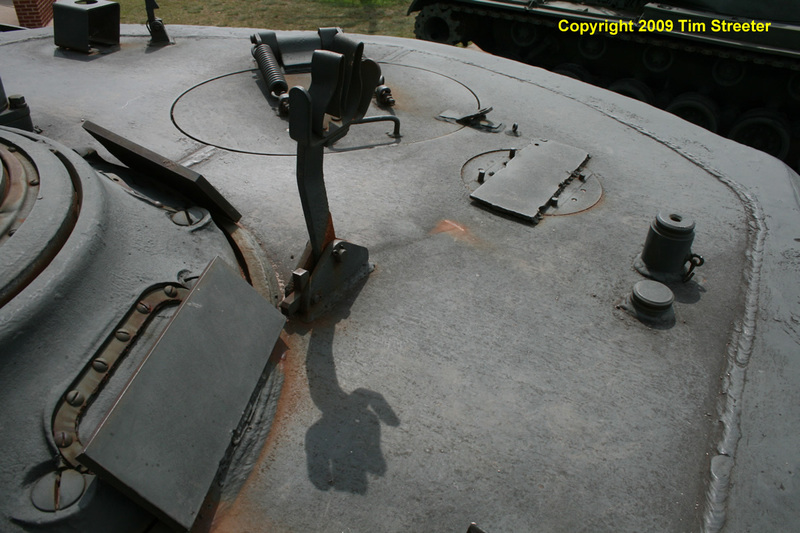 The commander received a cupola and the loader got an oval hatch. 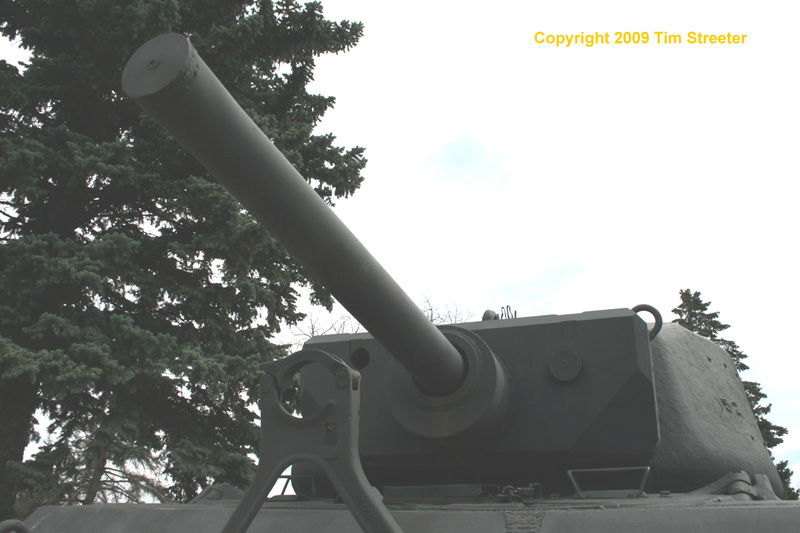 The turret was armed with a 75mm gun protected by a thicker gun shield. 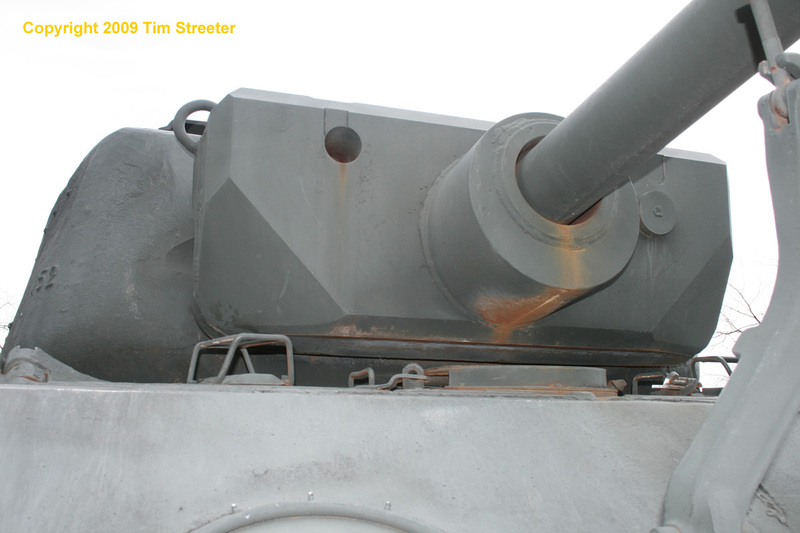 In the spring of 1945 many of the Jumbos were upgraded to 76mm guns for additional firepower. 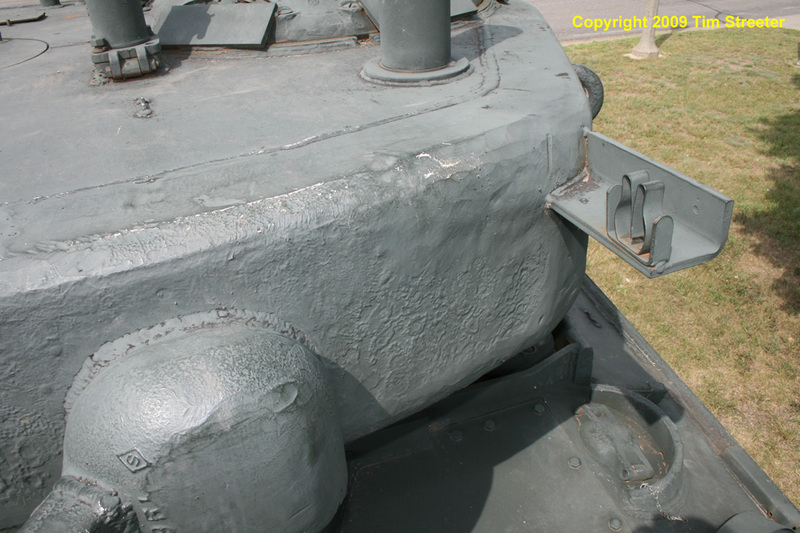 The extra armor weight increased the M4A3E2 to 84,000 pounds from some 70,000 pounds, and maximum speed was reduced to 22 miles per hour. 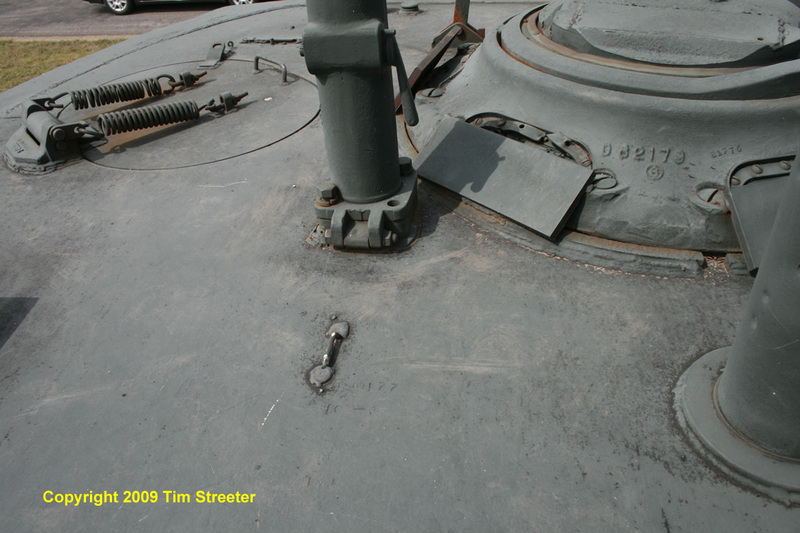 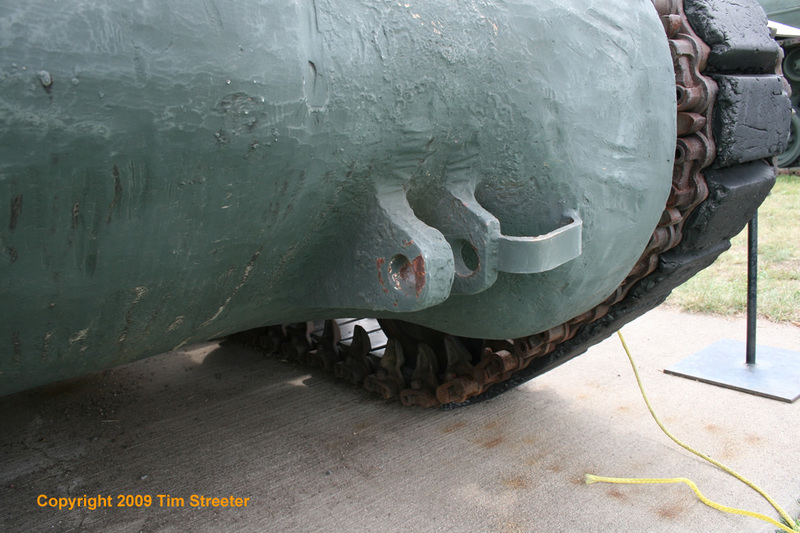 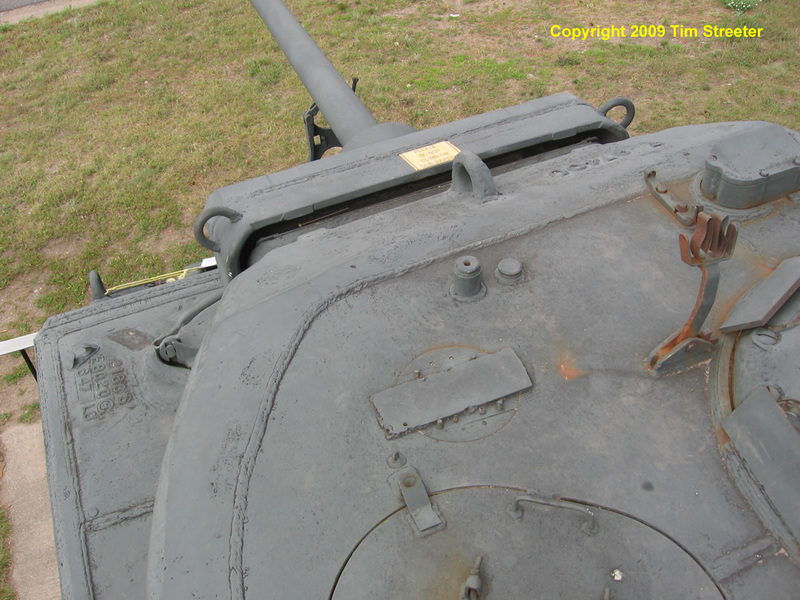 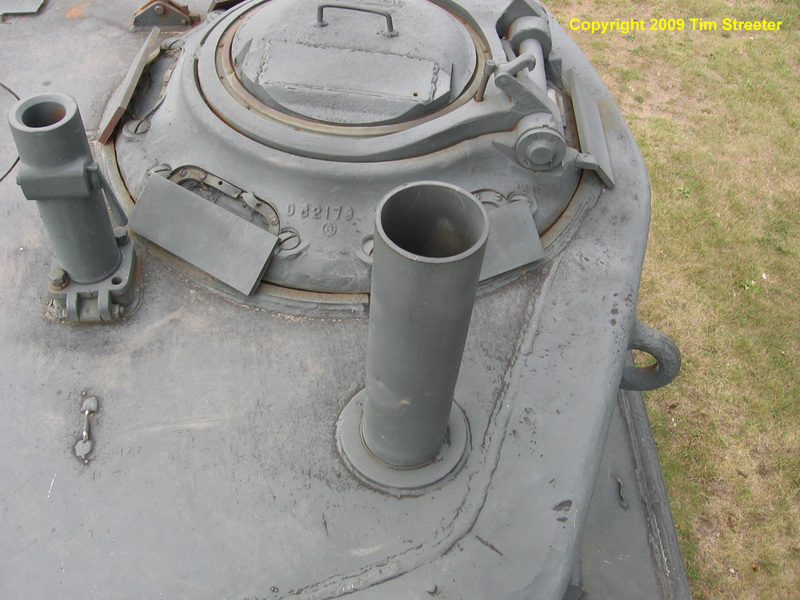 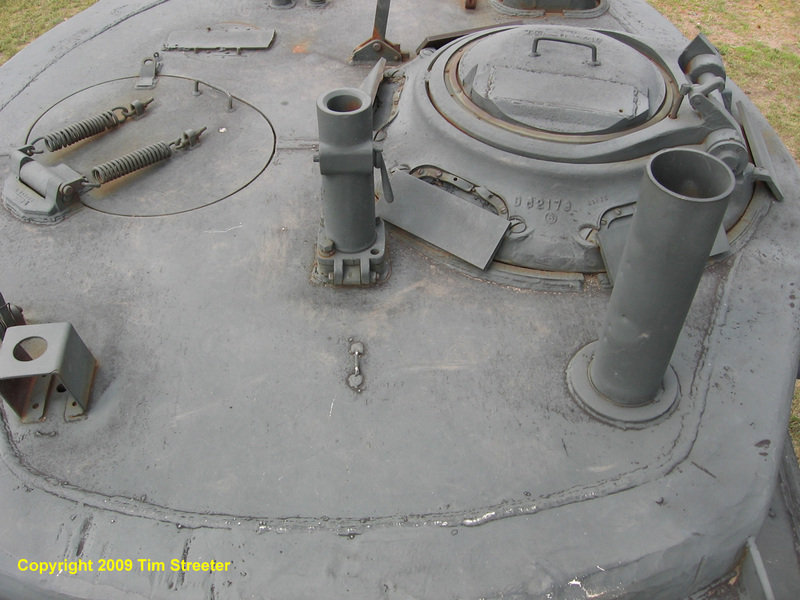 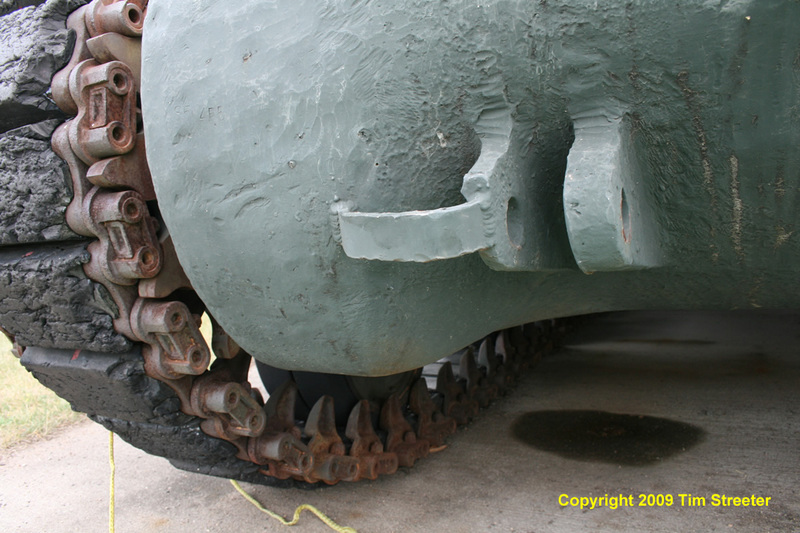 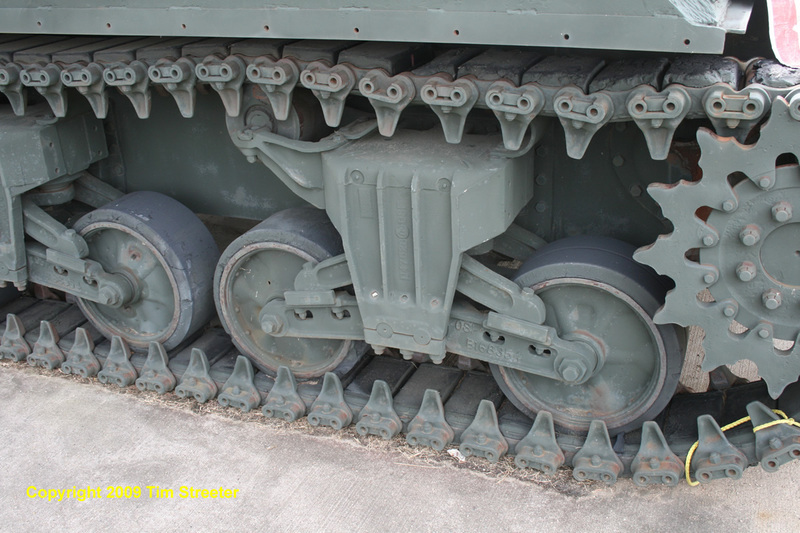 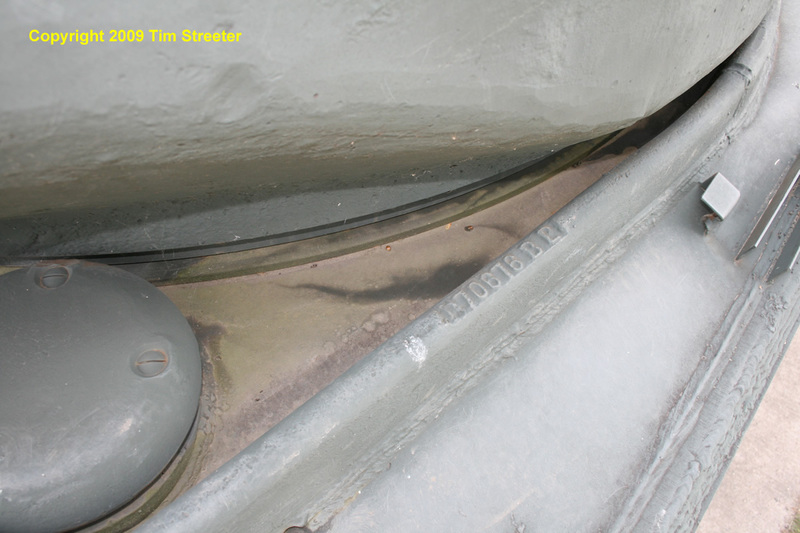 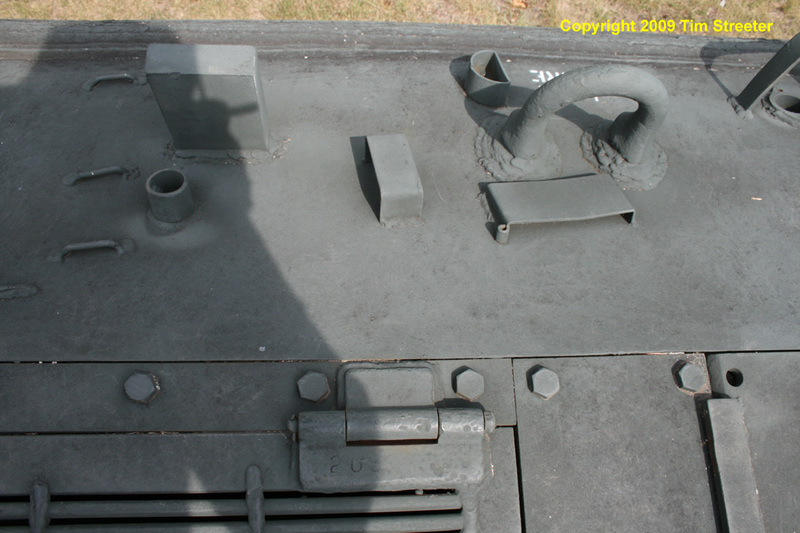 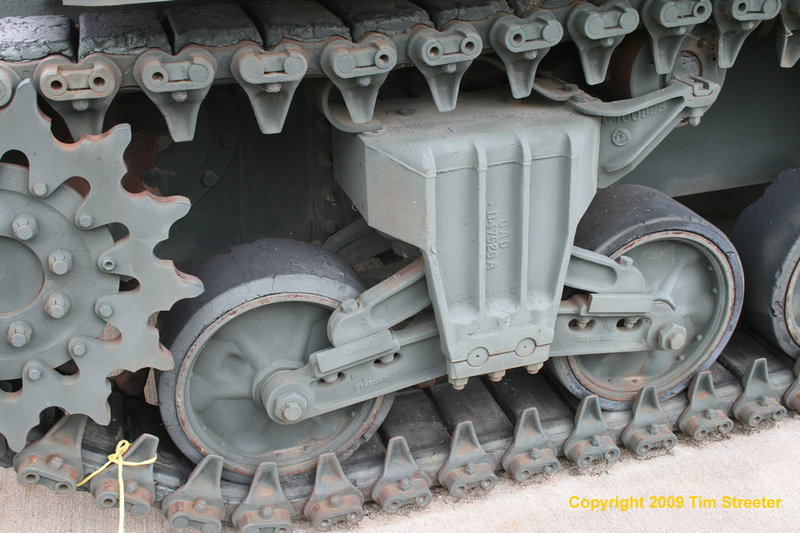 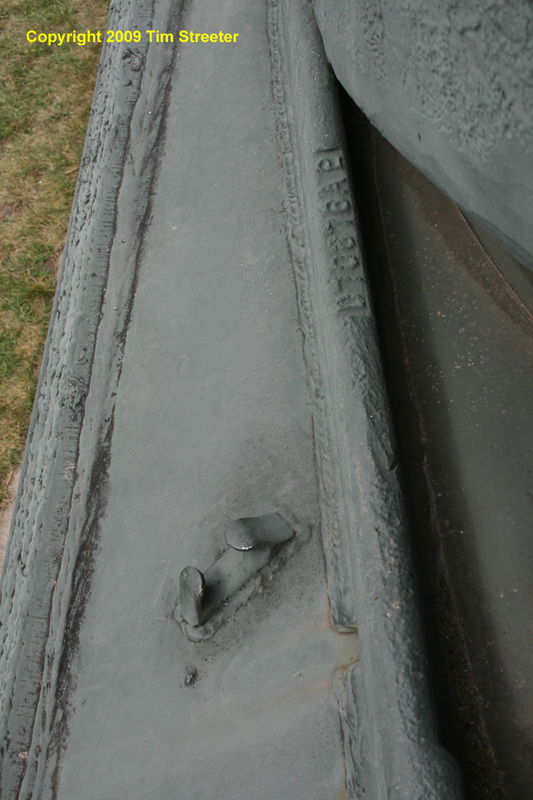 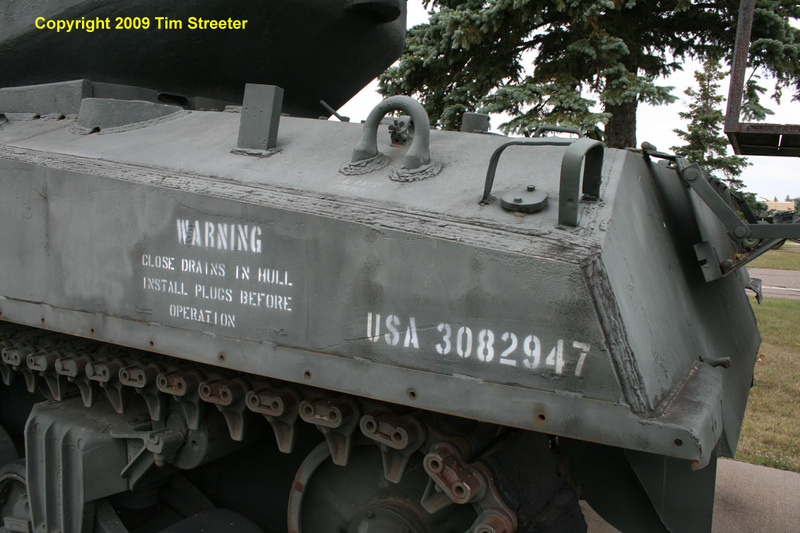 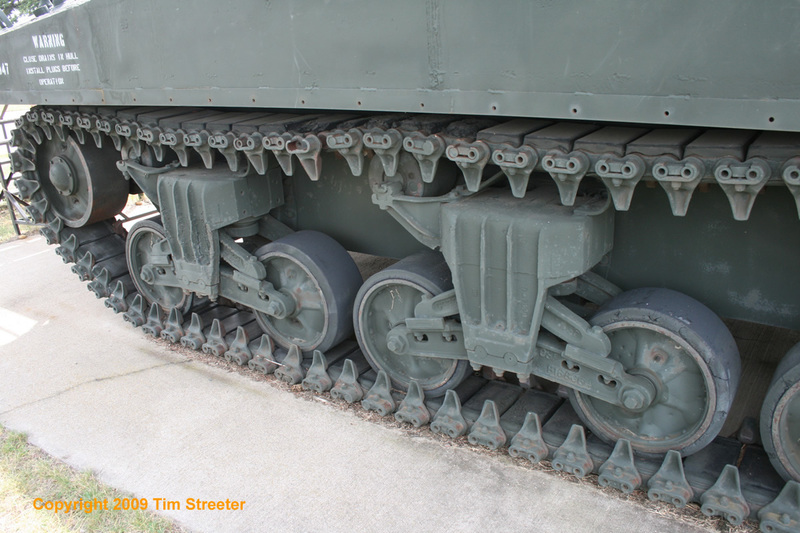 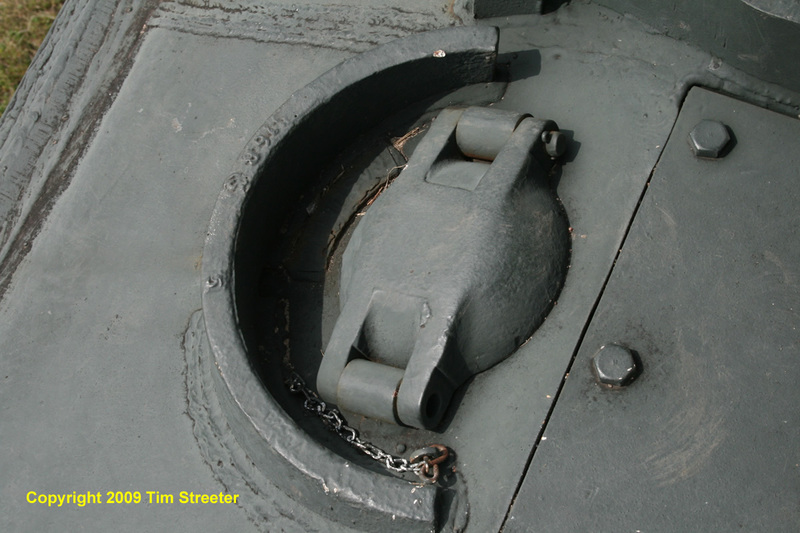 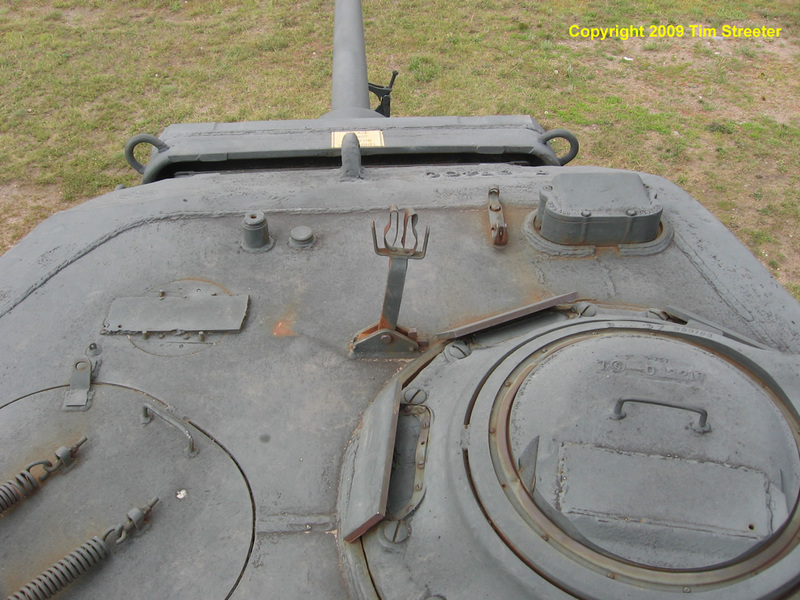 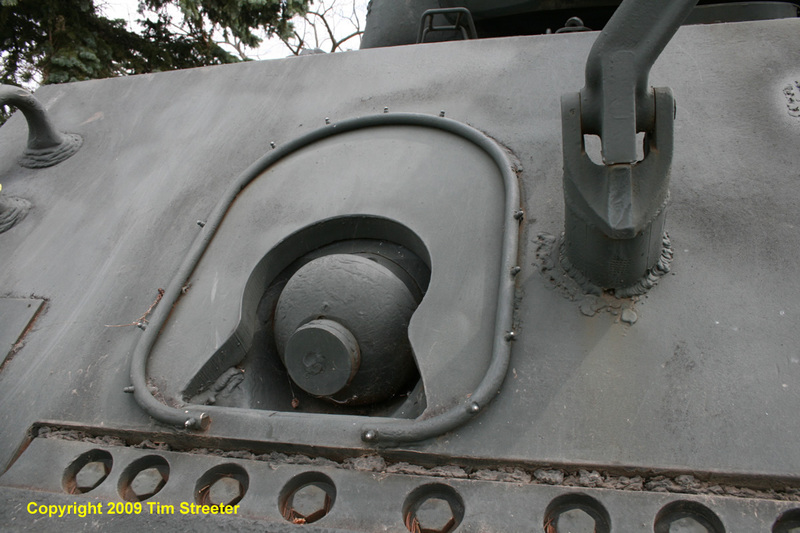 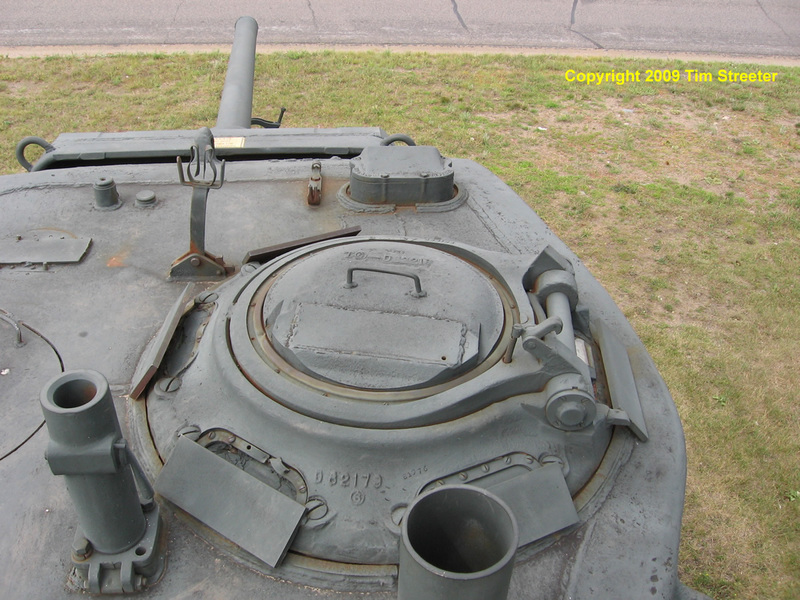 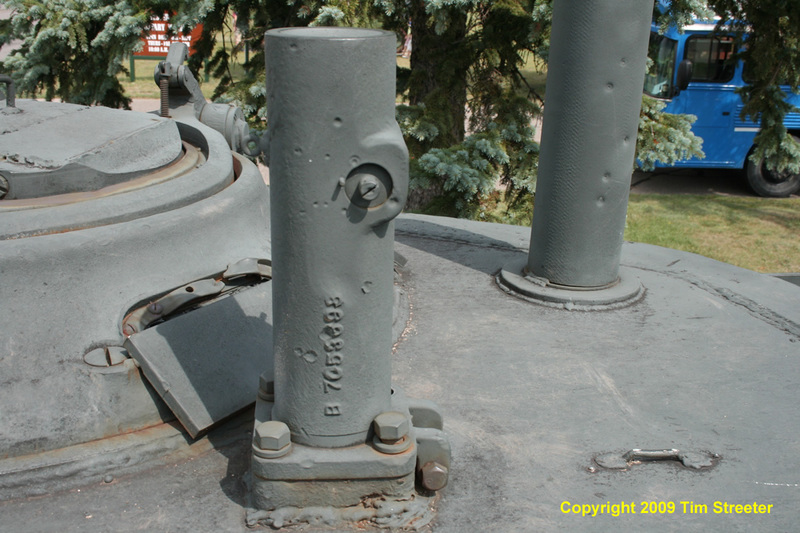 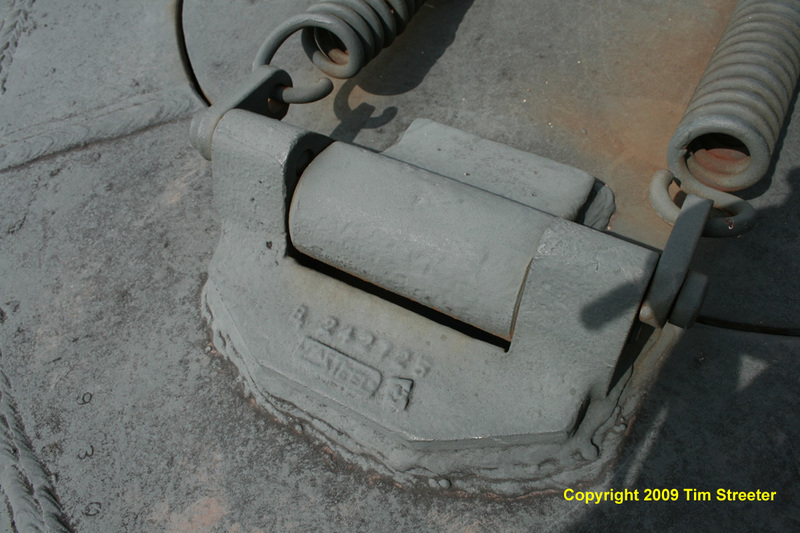 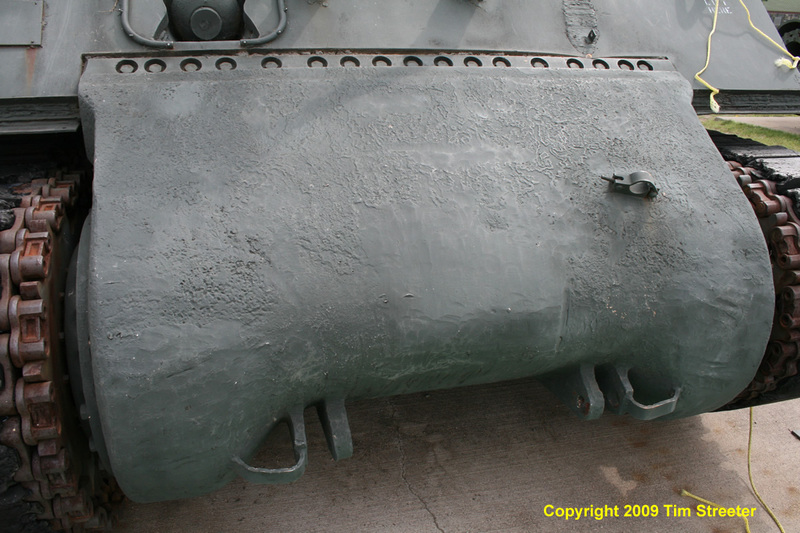 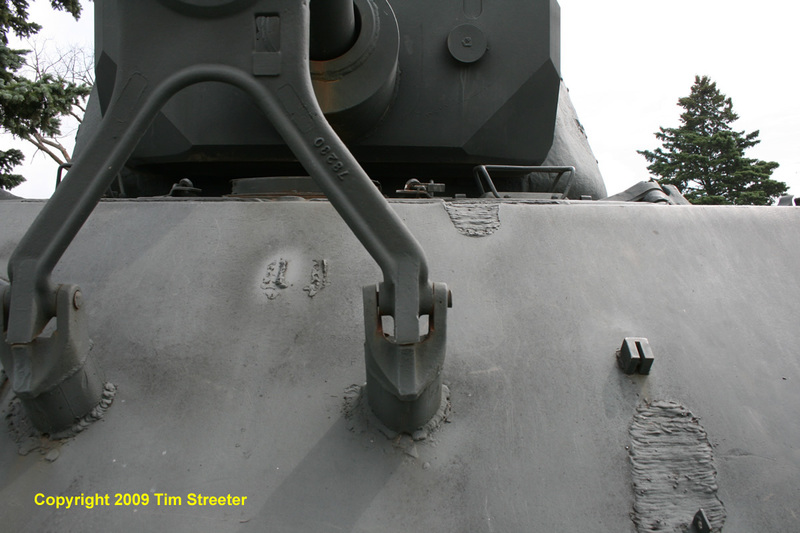 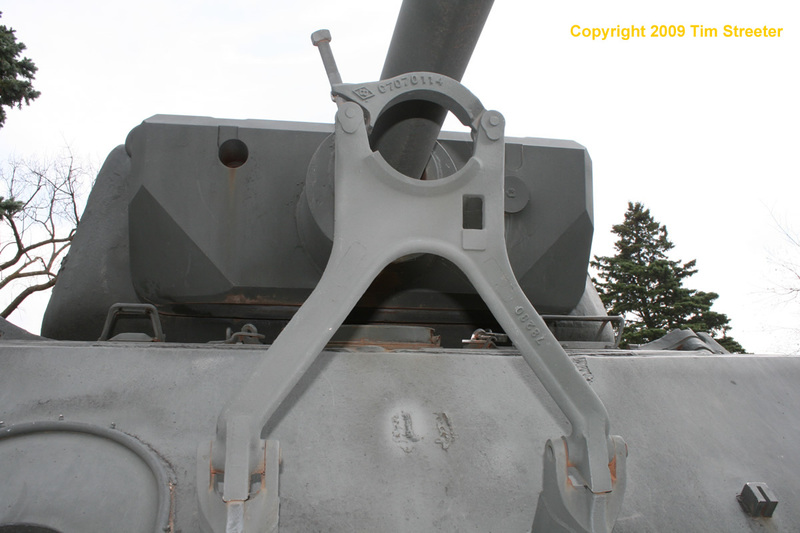 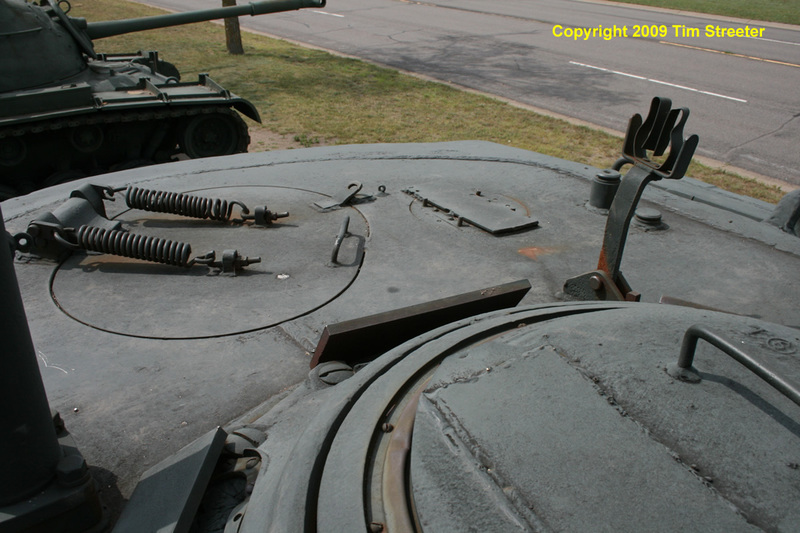 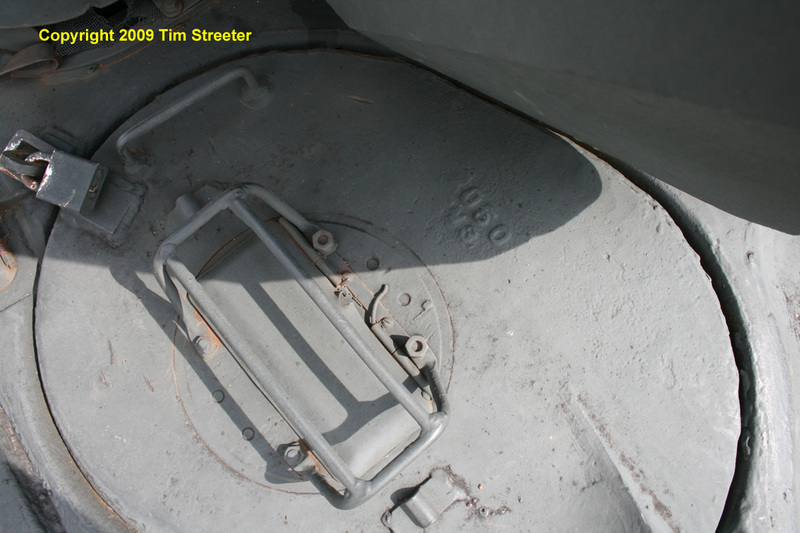 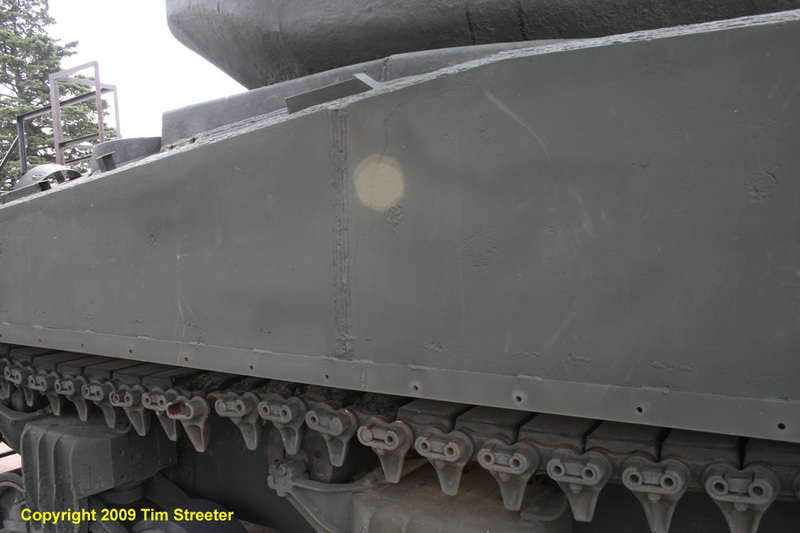 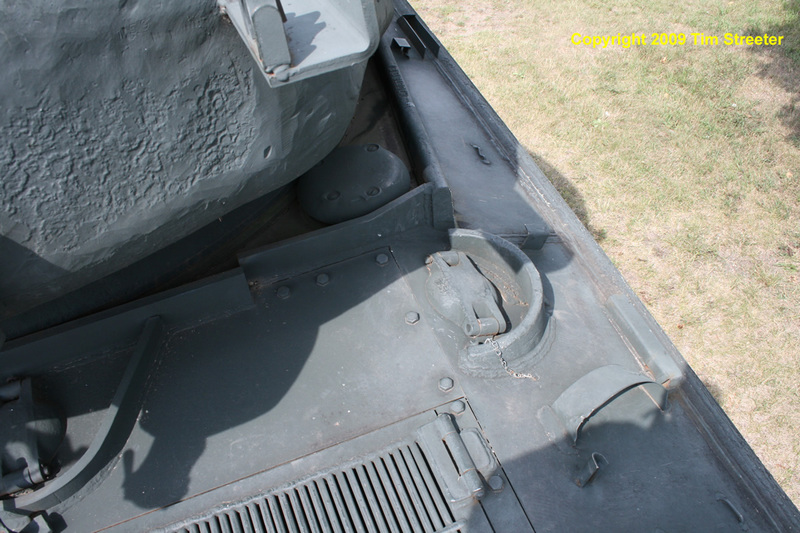 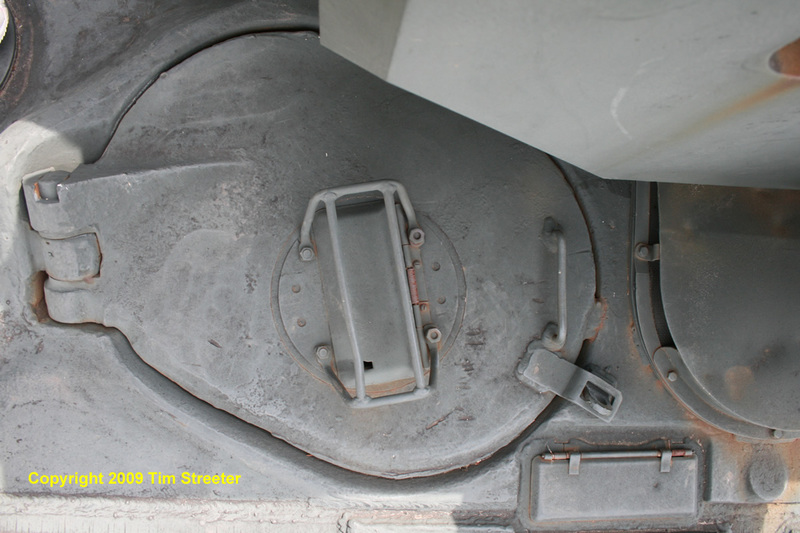 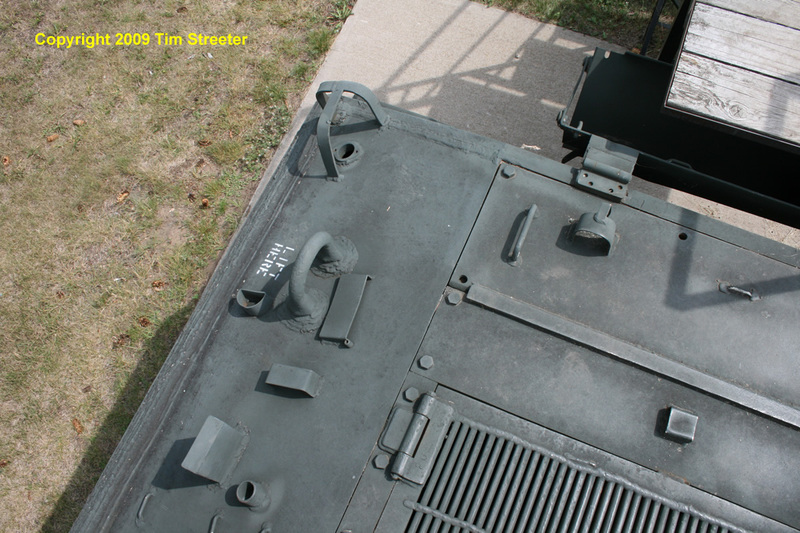 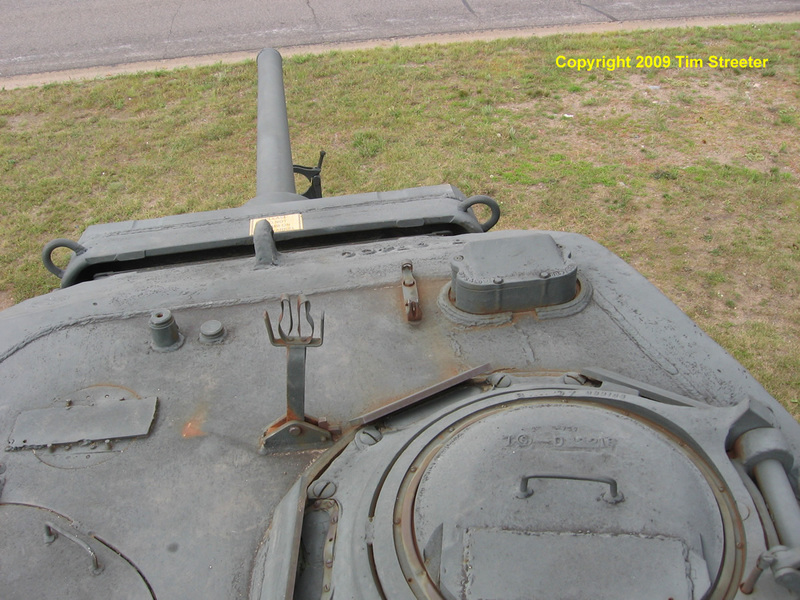 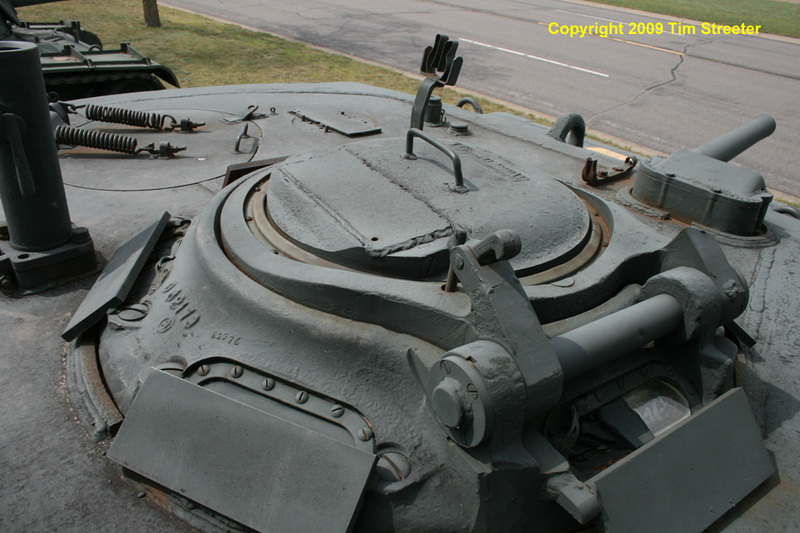 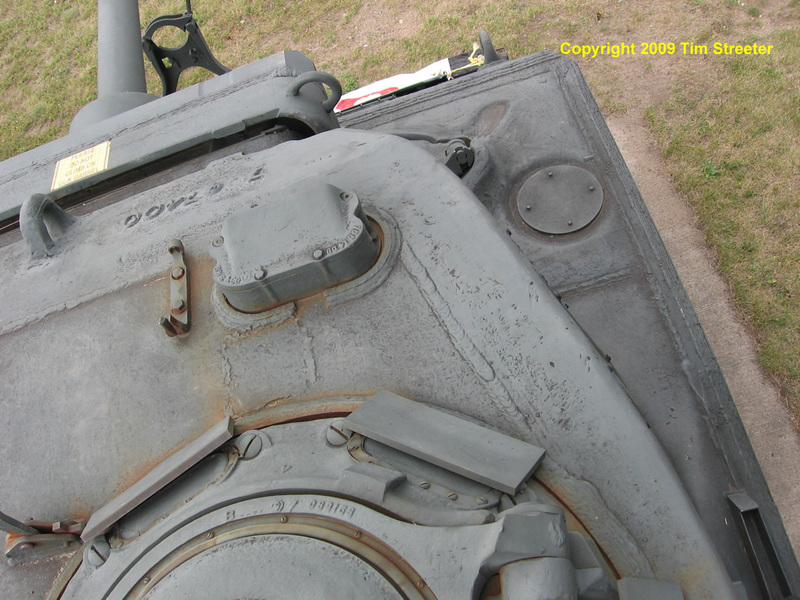 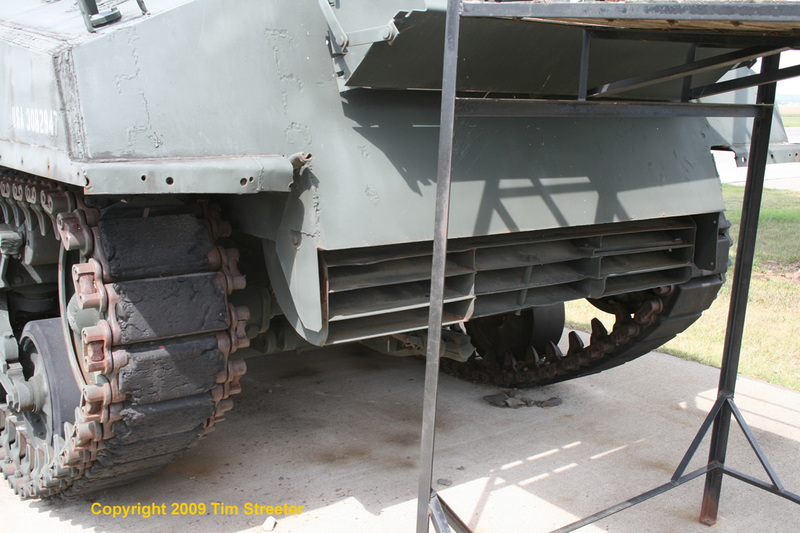 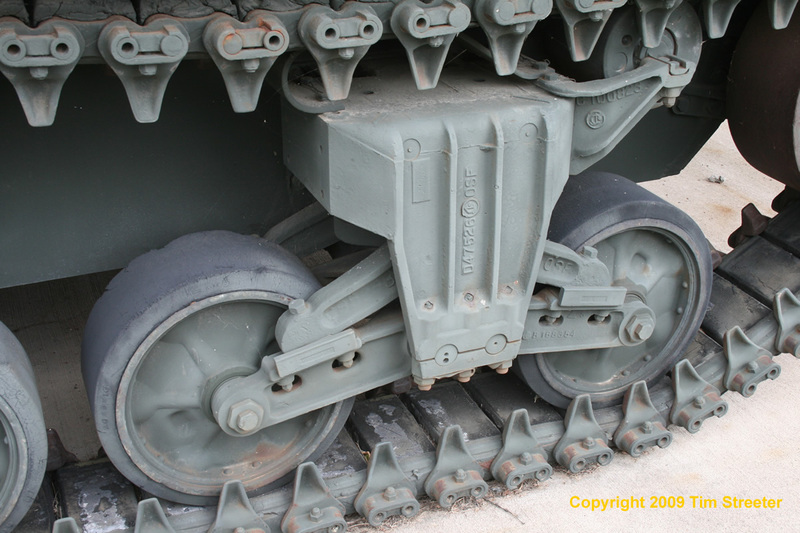 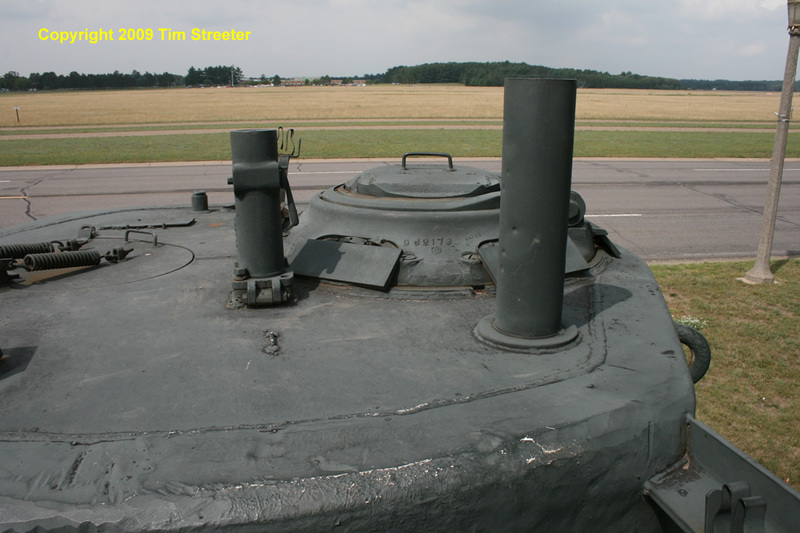 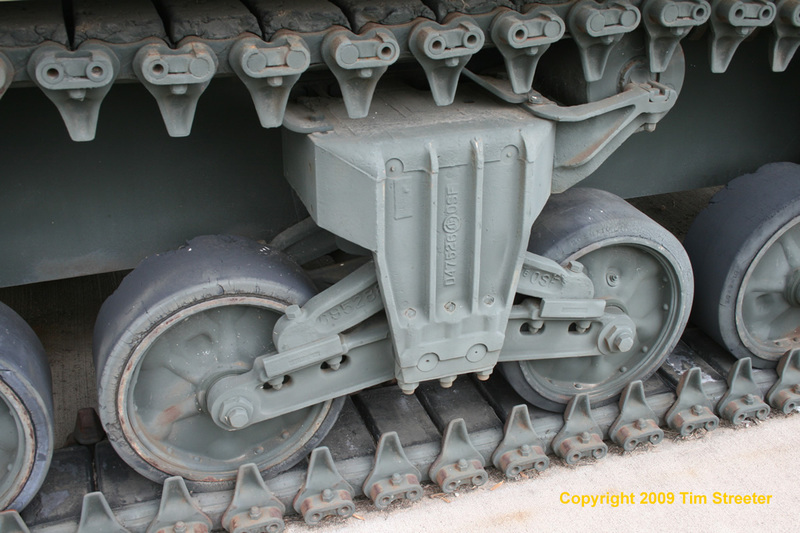 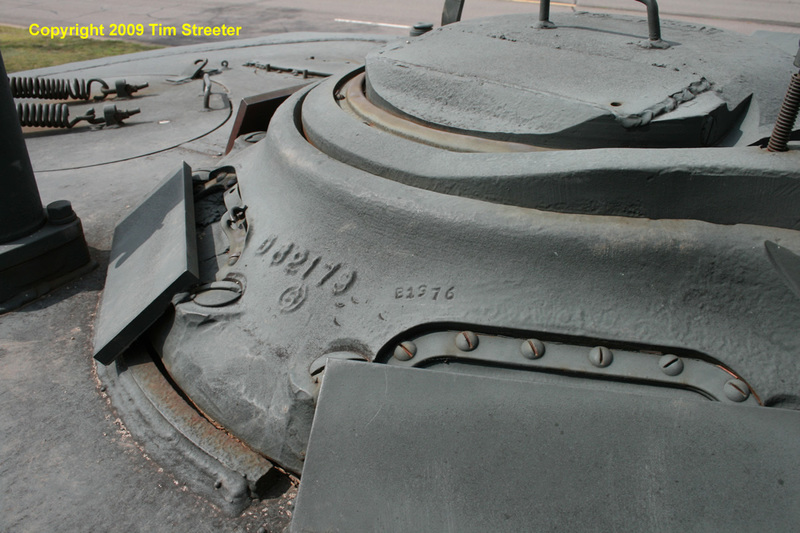 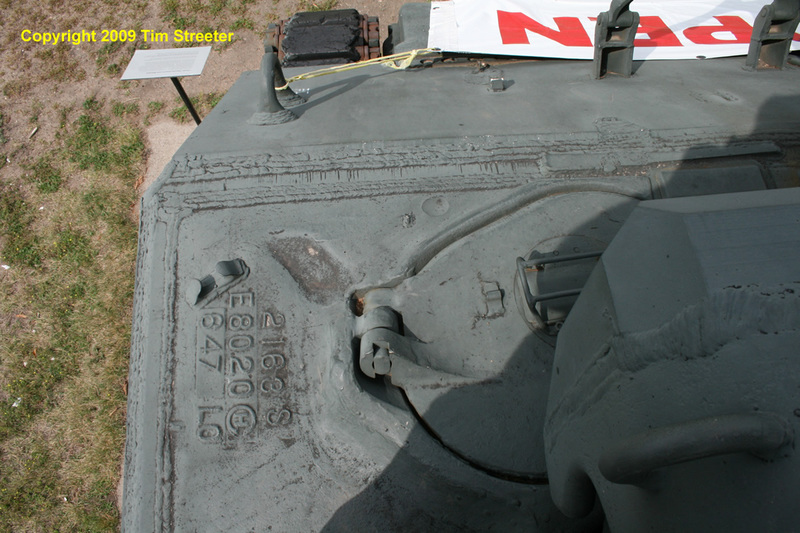 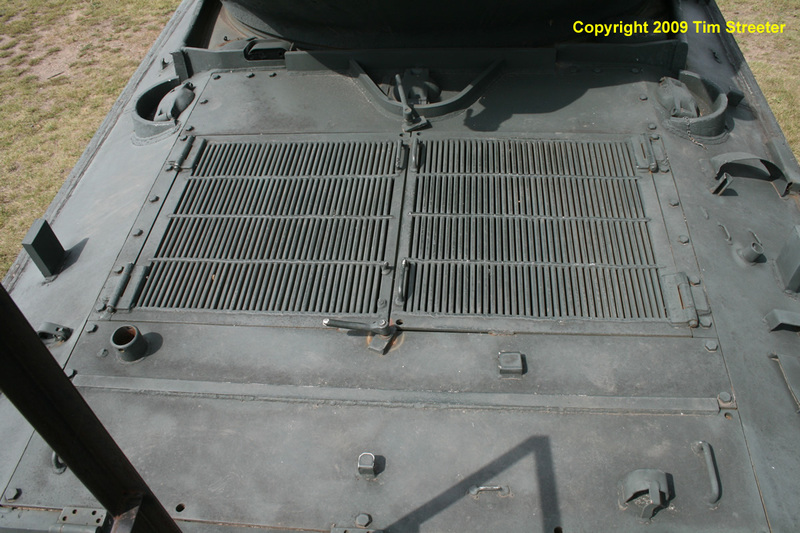 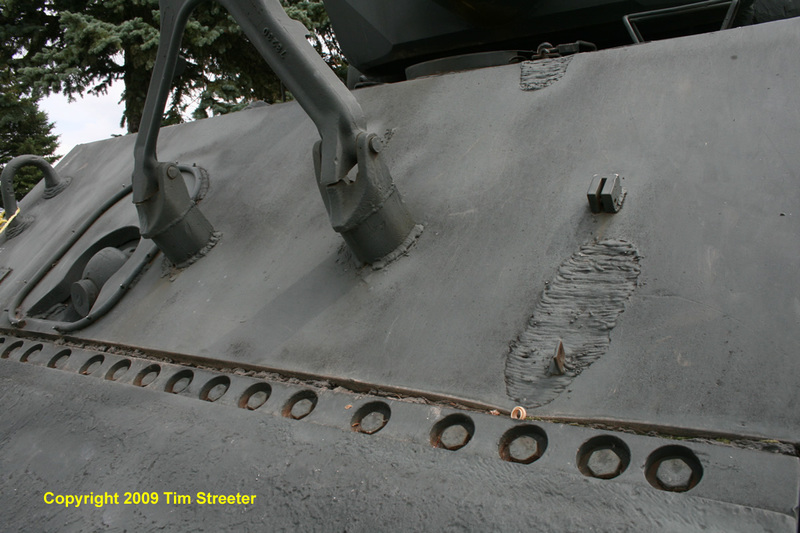 To help maintain ground "floatation" comparable to the lighter M4A3, tracks were fitted with extended end connectors, also known as duckbills. 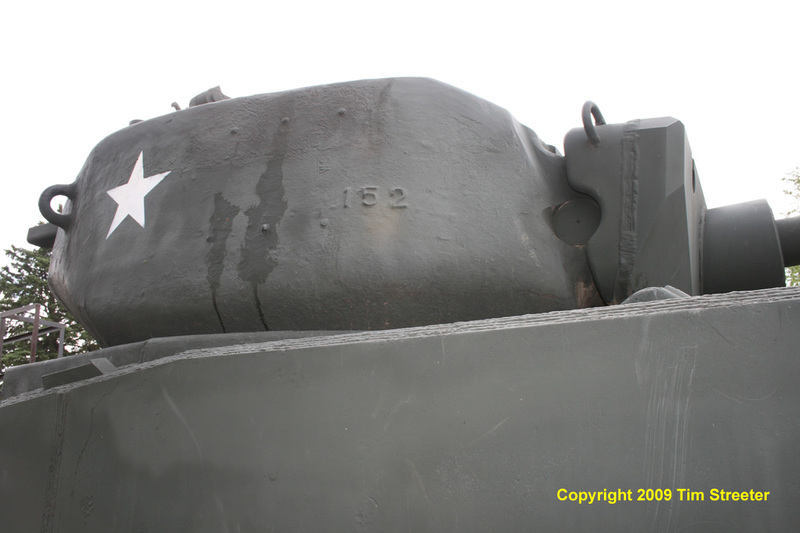 The Jumbo, which seems to have picked up its nickname postwar, performed well during its relatively brief period of service. 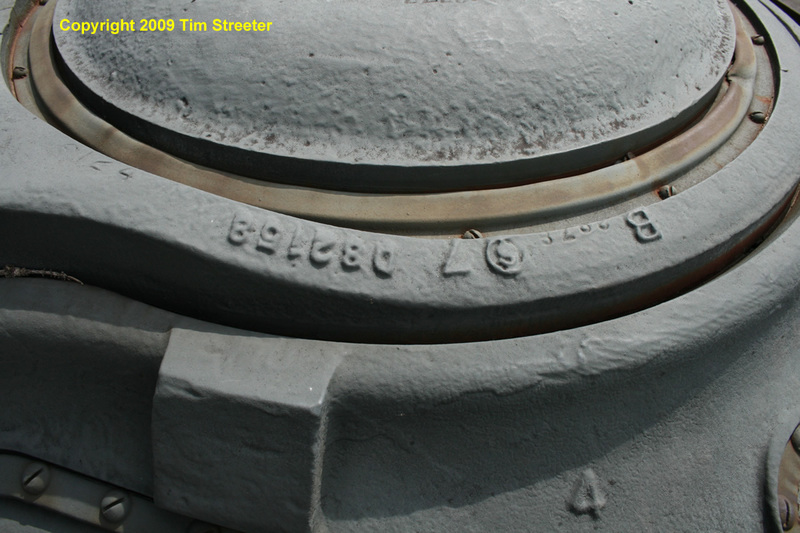 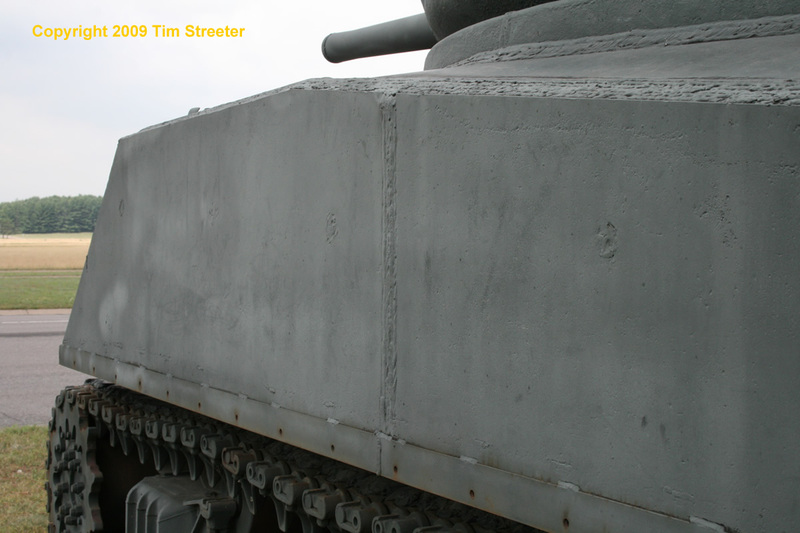 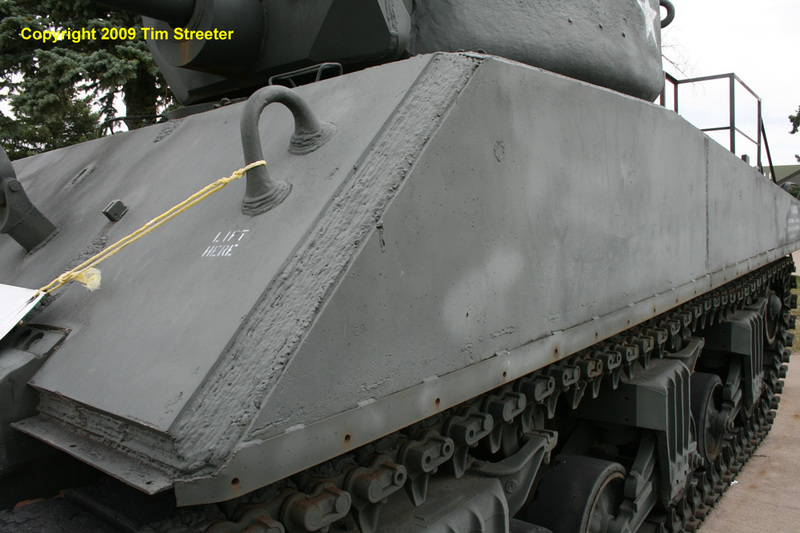 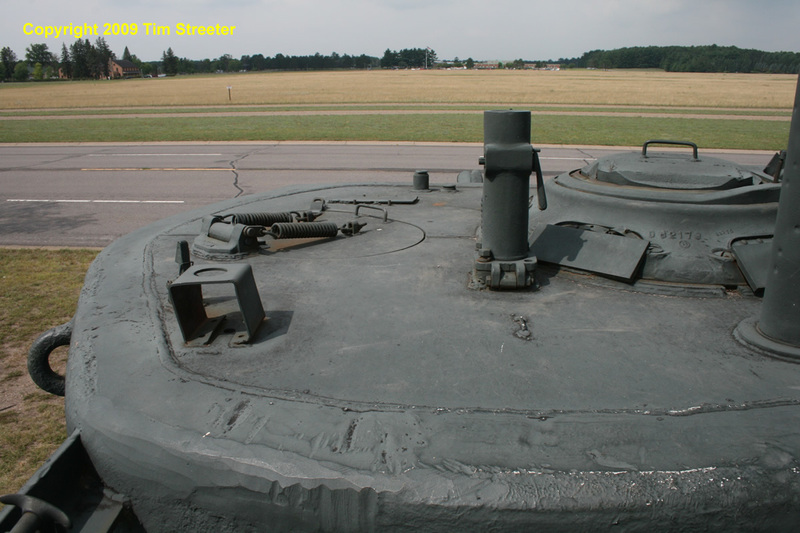 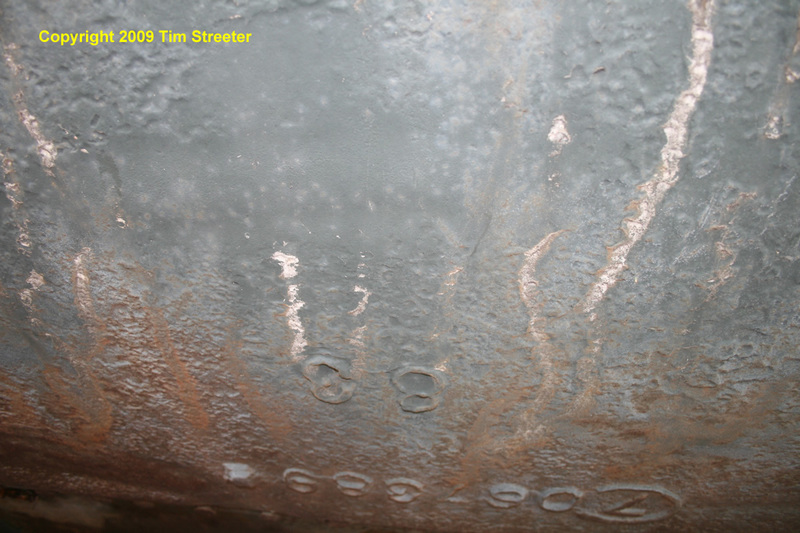 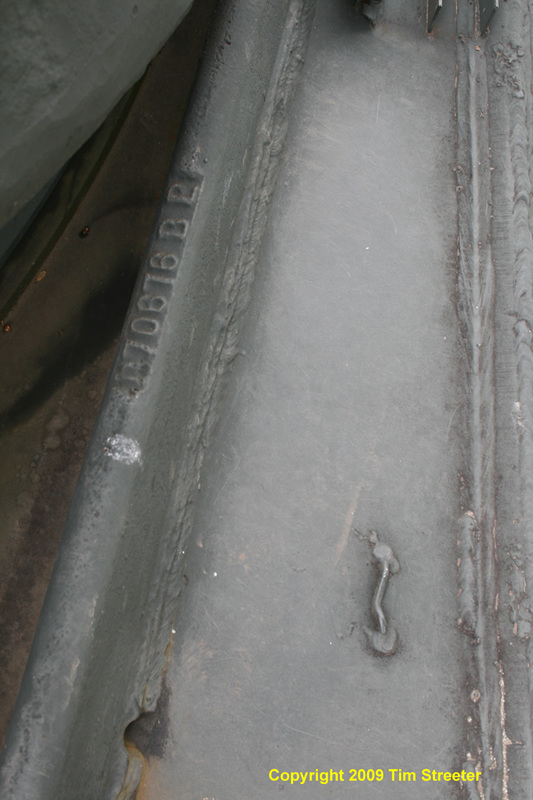 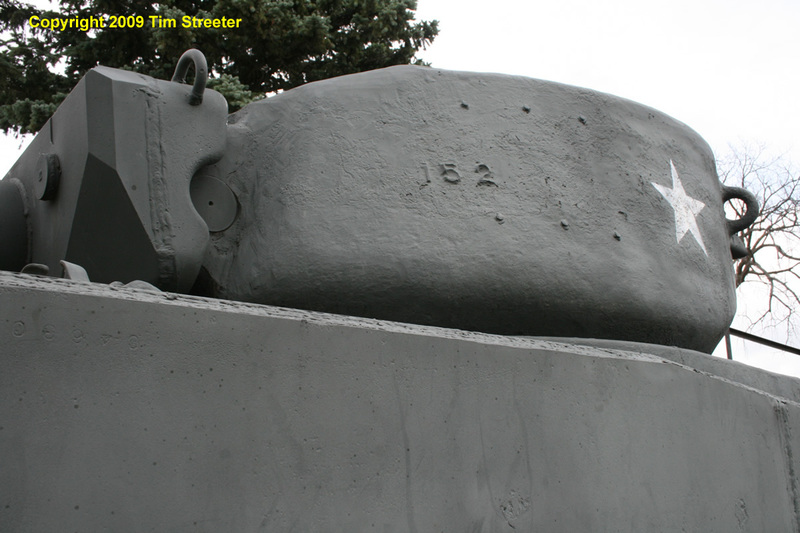 Most notably, the first tank of Patton's 4th Armored Division to break through to Bastogne was "Cobra King" of the 37th Tank Battalionwhich was discovered in 2001 to be a "monument" in Vilseck, Germany, its historic status obscured by a bogus registration number painted on its hull. 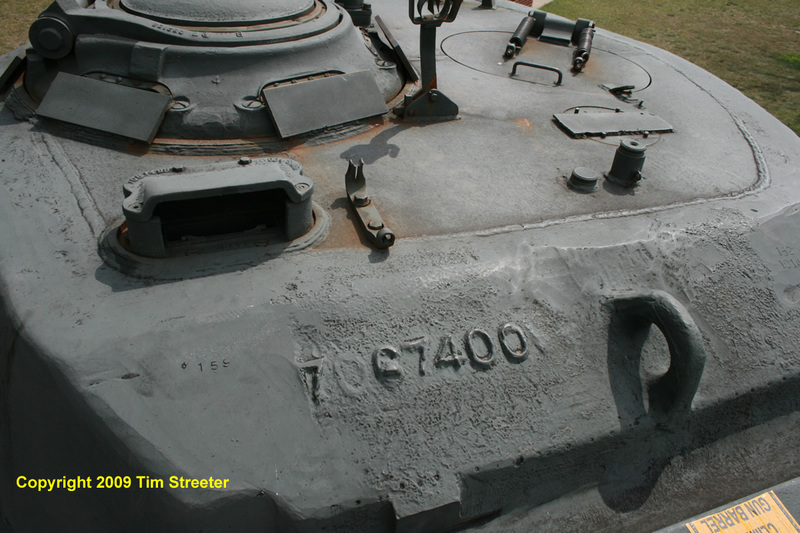 Alas, there are less than a dozen known surviving Jumbos. 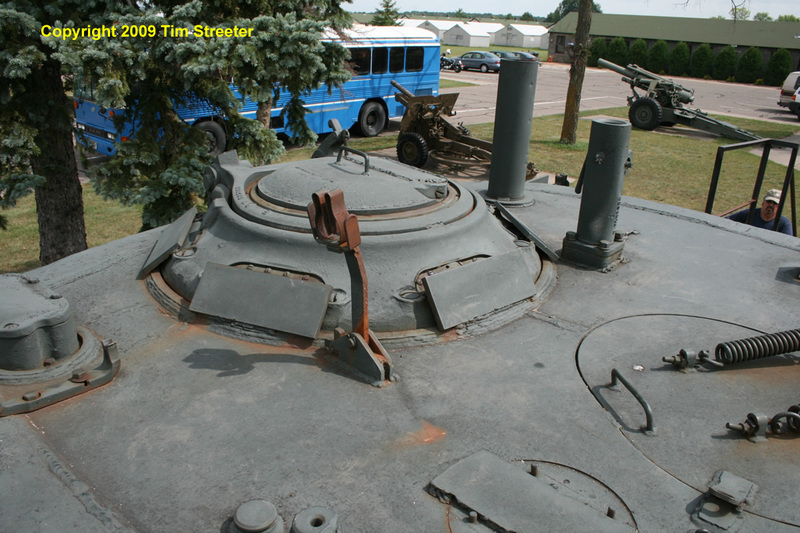 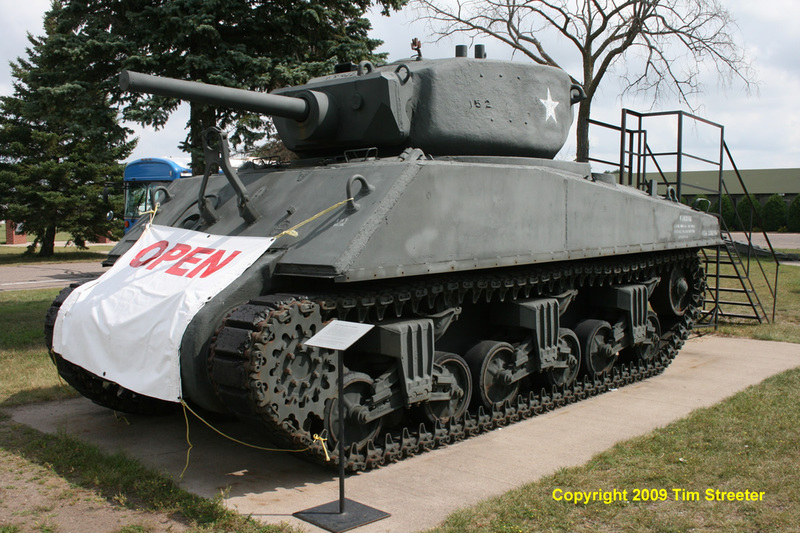 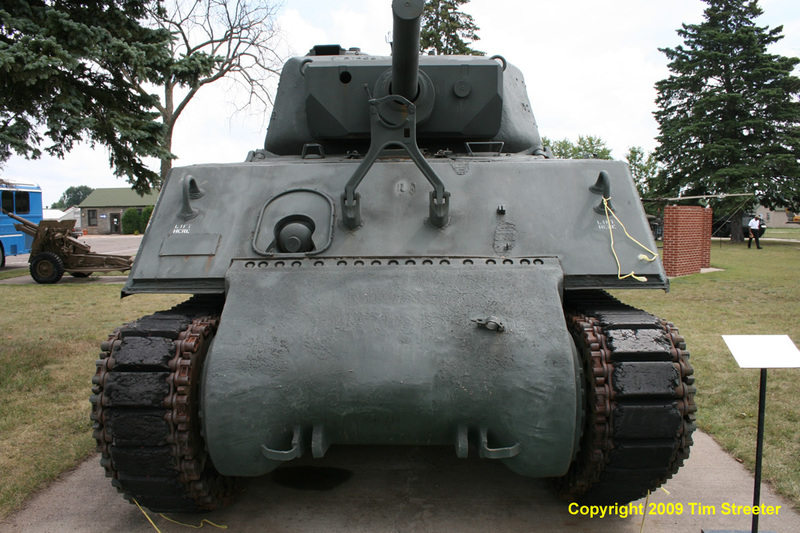 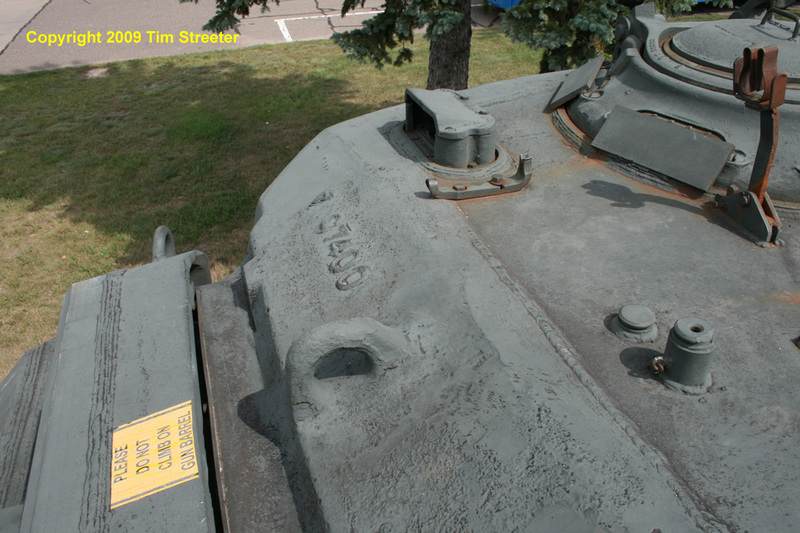 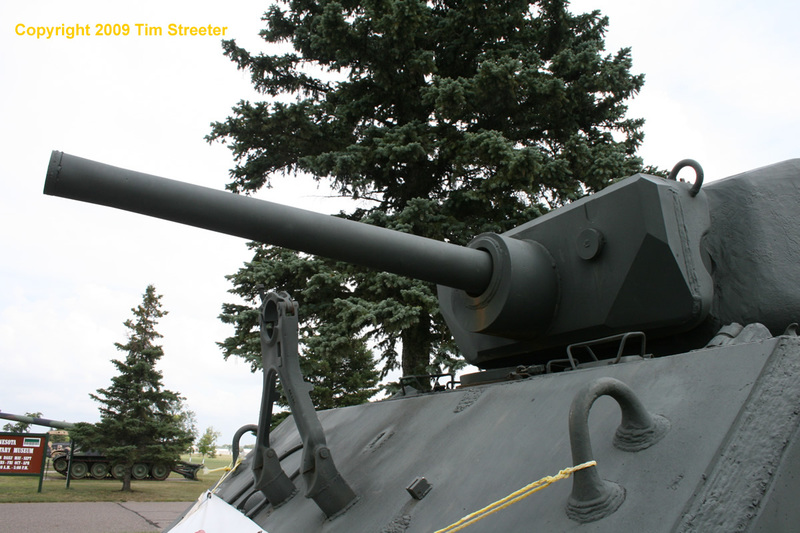 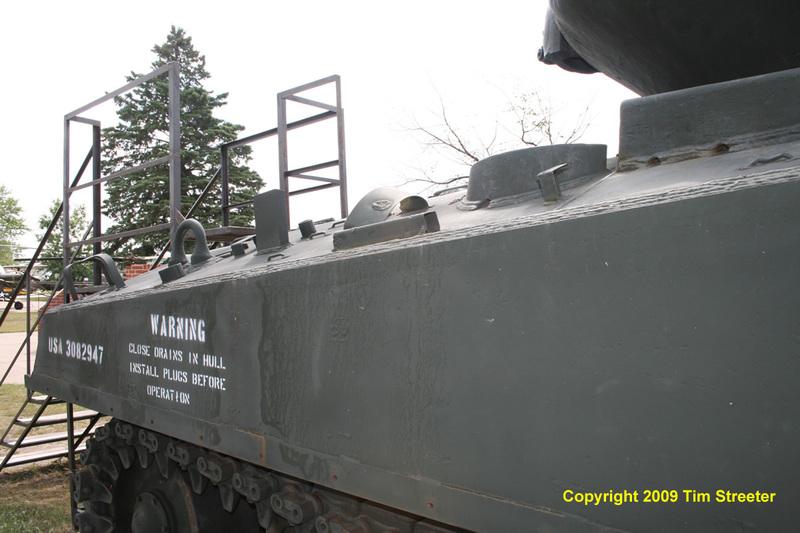 One resides at Camp Ripley, Minnesota, and is shown below, photographed in August 2009. 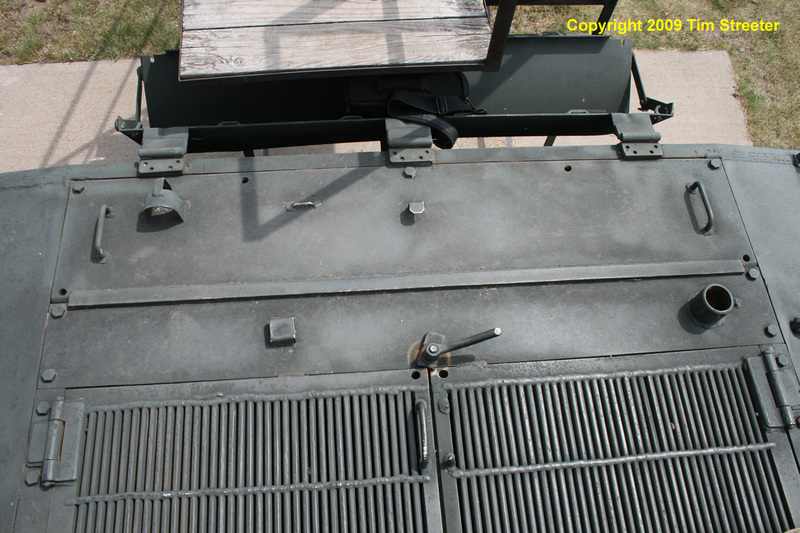 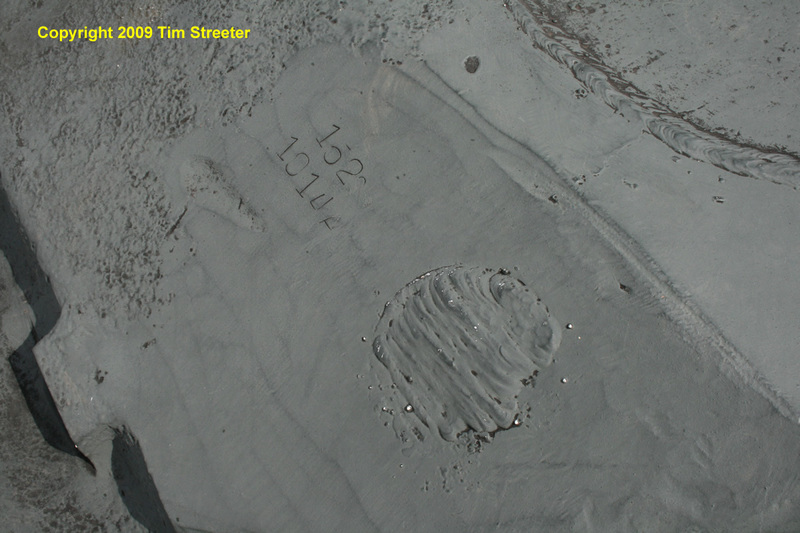 It and another had been range targets at the camp until it was rescued in the 1970s. 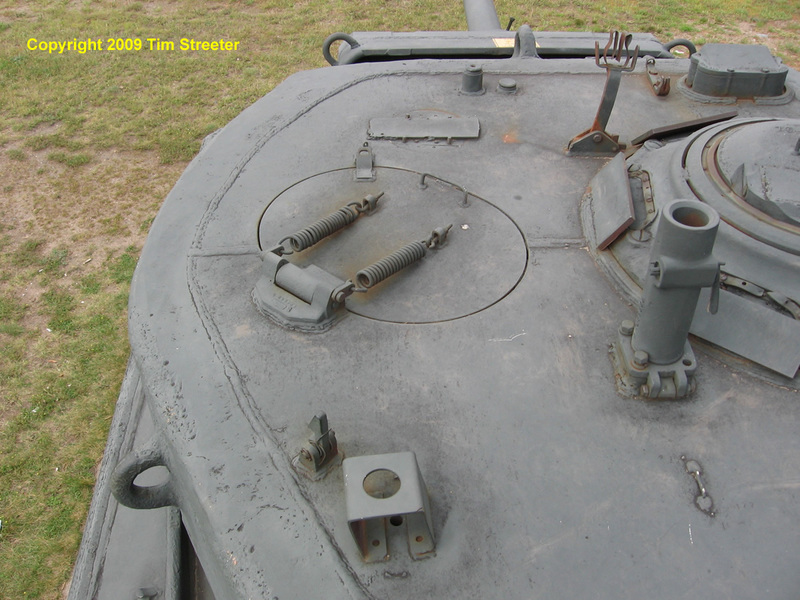 Its companion remains on the field, beyond repair. 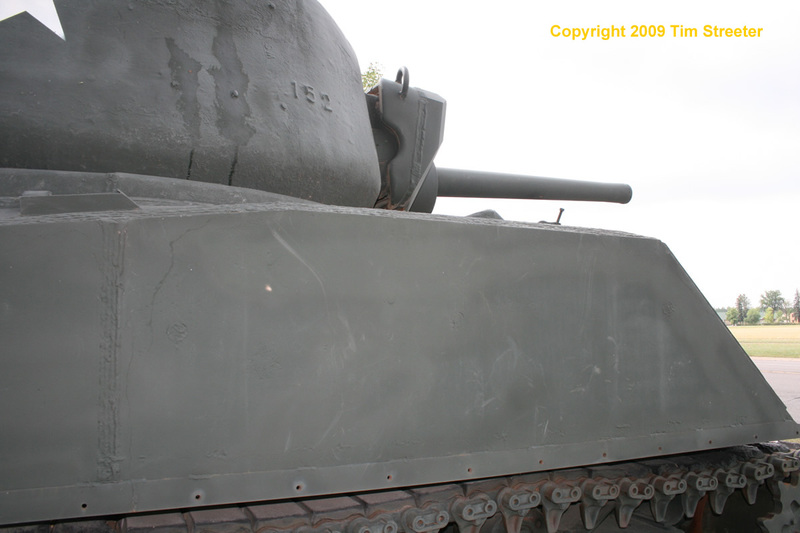 Jacques Duquette has additional photos of this Ripley Jumbo here, along with a history of the tank and some tips for modelers. 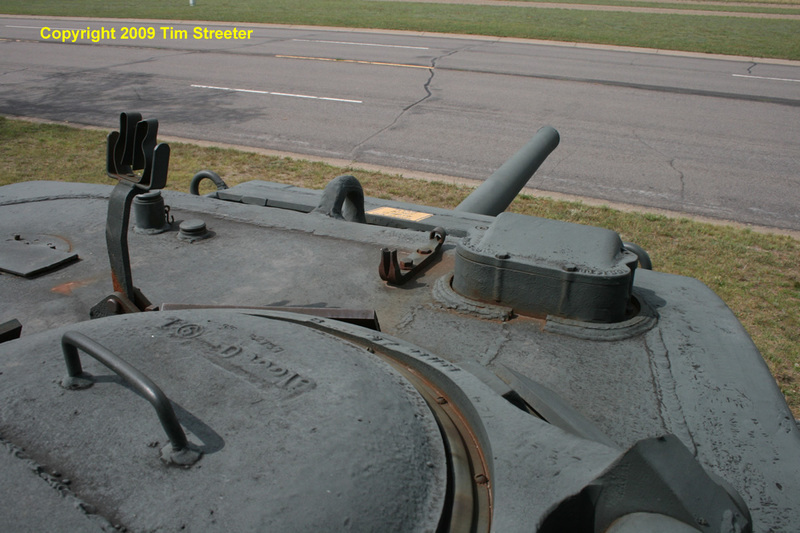 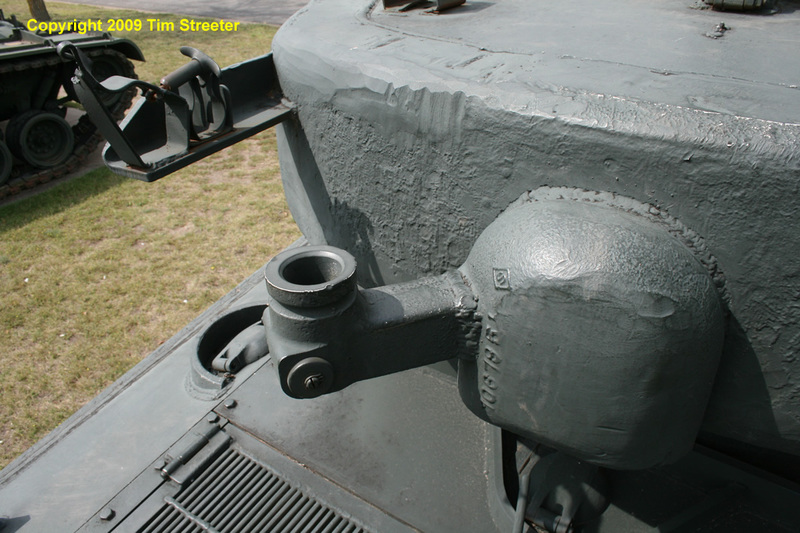 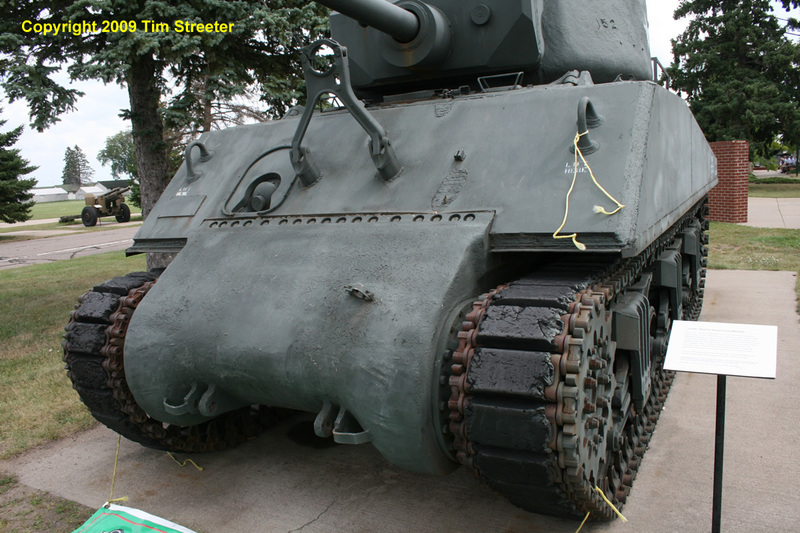 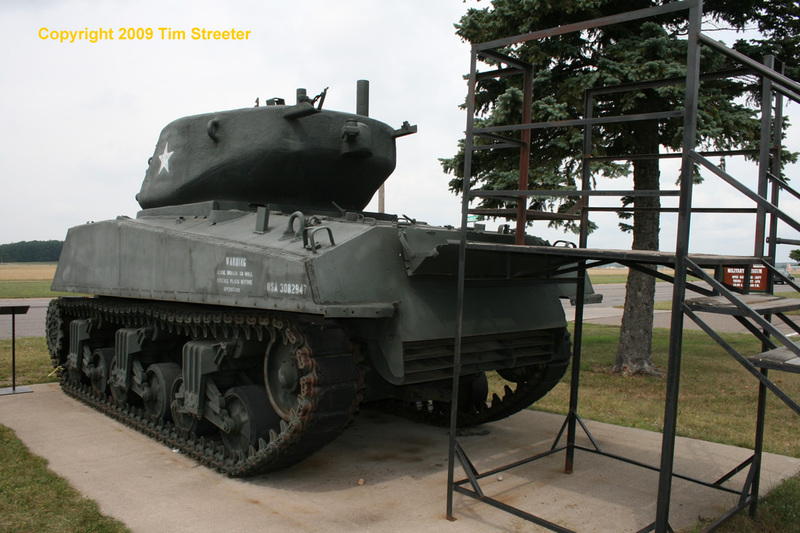 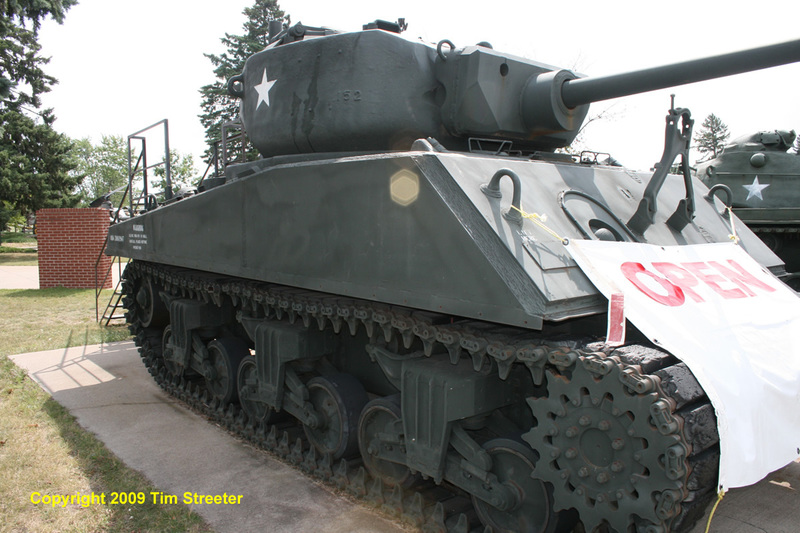 Chris "toadman" Hughes offers photos of both an M4A3E2 being restored at the Military Vehicle Technology Foundation, and "Cobra King," which is now undergoing restoration at the Patton Museum. 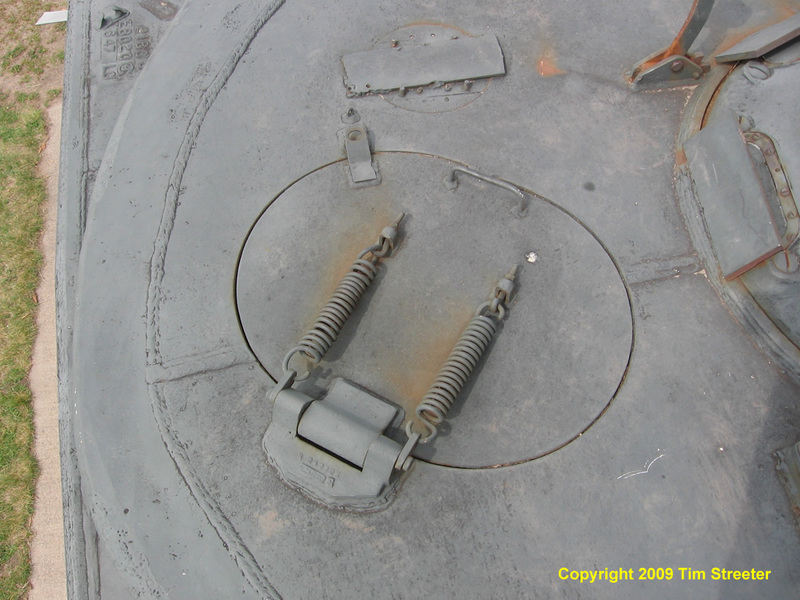 For modelers, the ancient Tamiya kit is the only option in plastic. 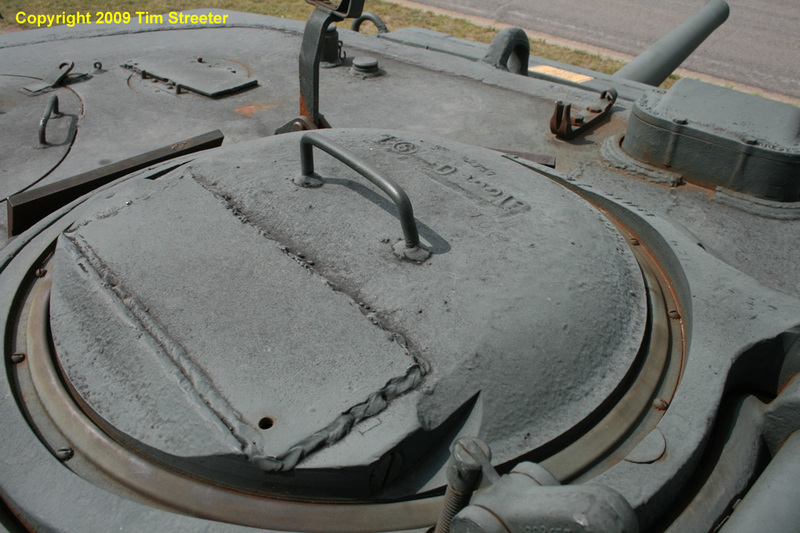 However, both Formations, Tank Workshop, and Blast Models offer resin upgrade kits that are highly regarded.